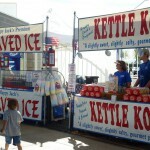 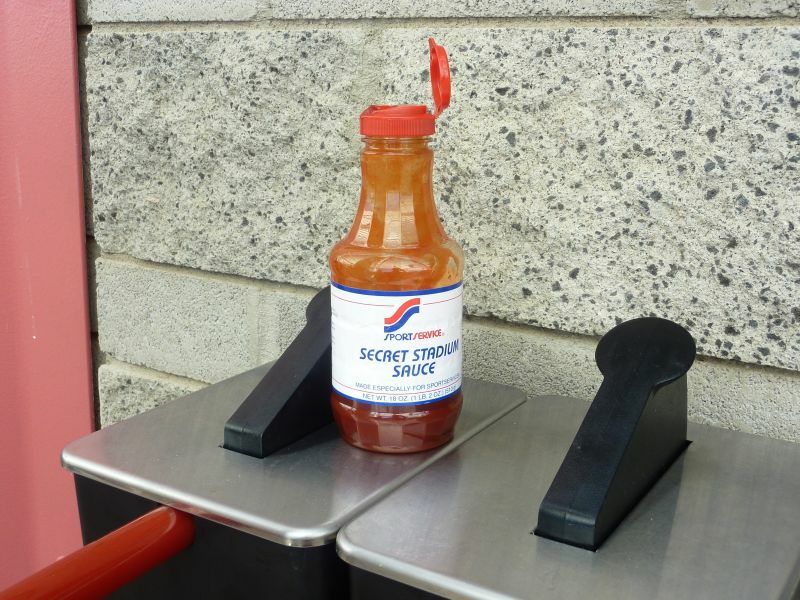 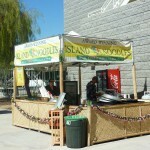 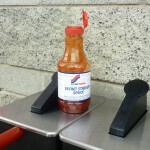 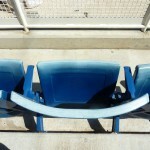 ***IMPORTANT NOTE: New reviews have not been written, and most reviews from 2011 will be partially rewritten. 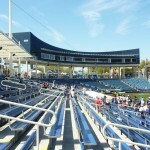 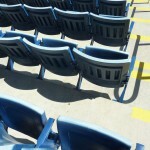 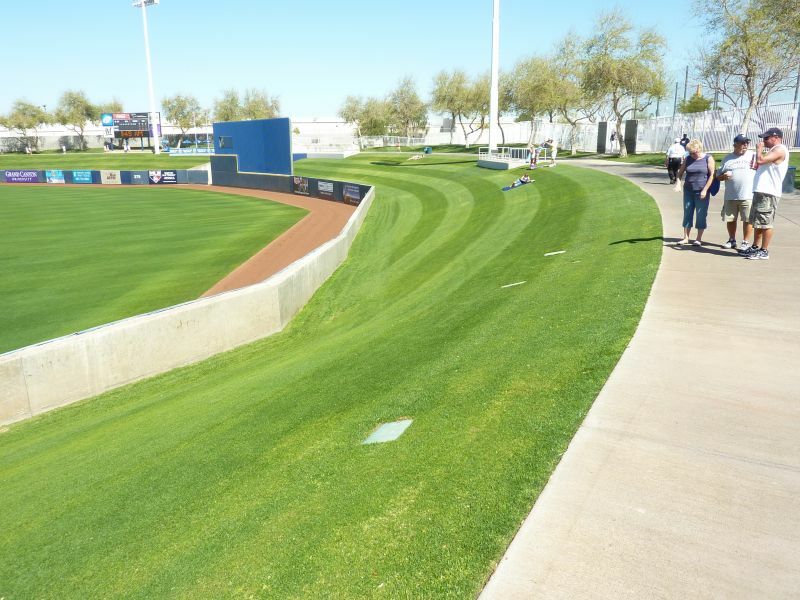 Rating have been updated for 2019 spring training renovations. 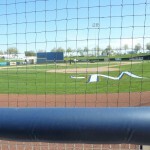 Straight up: I love Maryvale Baseball Park. 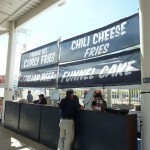 I’ve only prefaced one other ballpark review with this statement, Comerica Park. 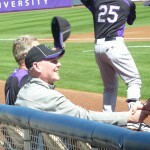 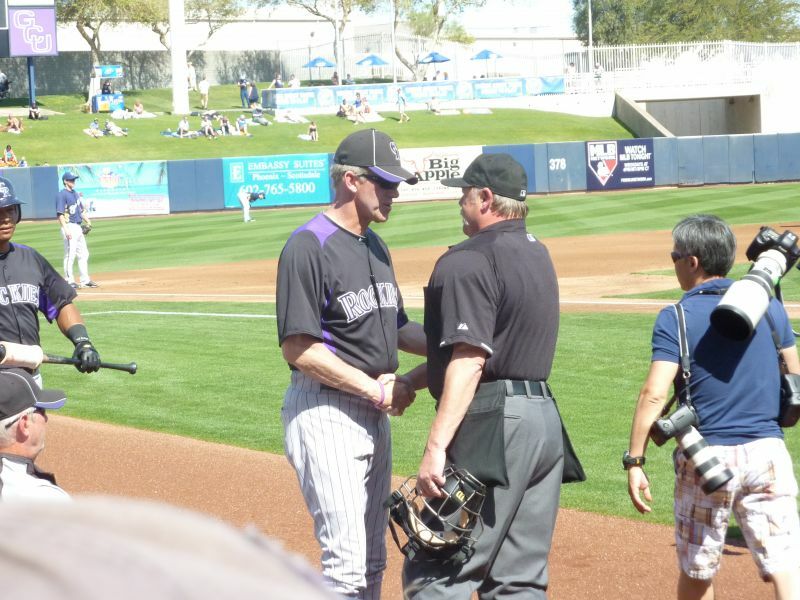 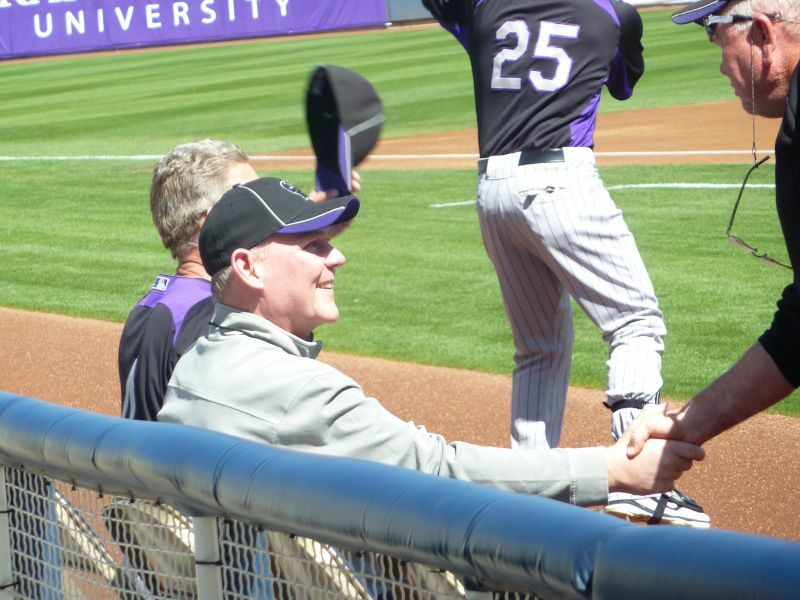 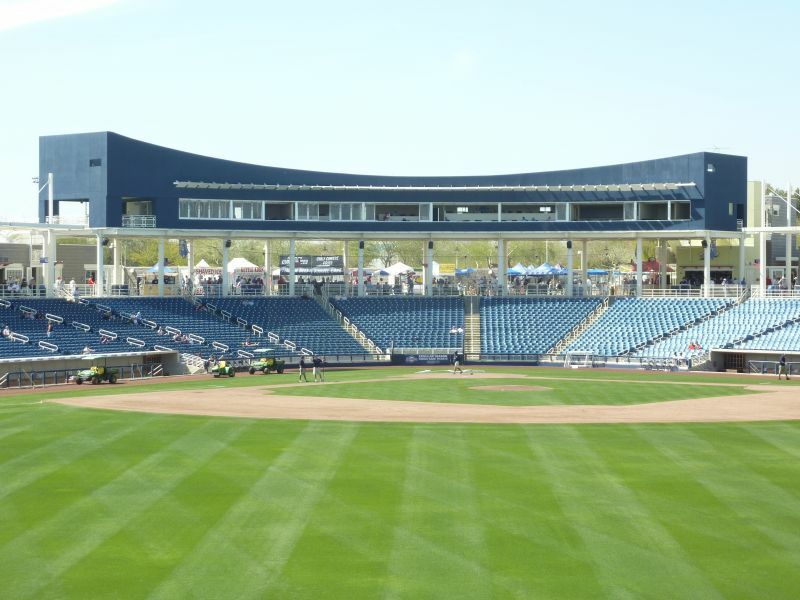 I then proceeded to make the argument that it was the best ballpark in baseball due to it’s unusual well roundedness, forming the perfect combination of setting, aesthetics, functionality, and amenities, an argument I assume many initially found patently absurd due to preexisting biases. 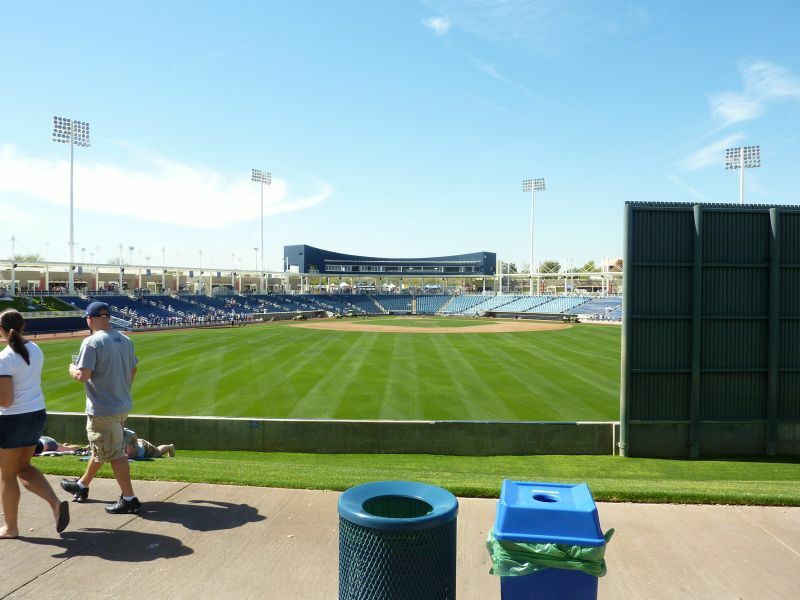 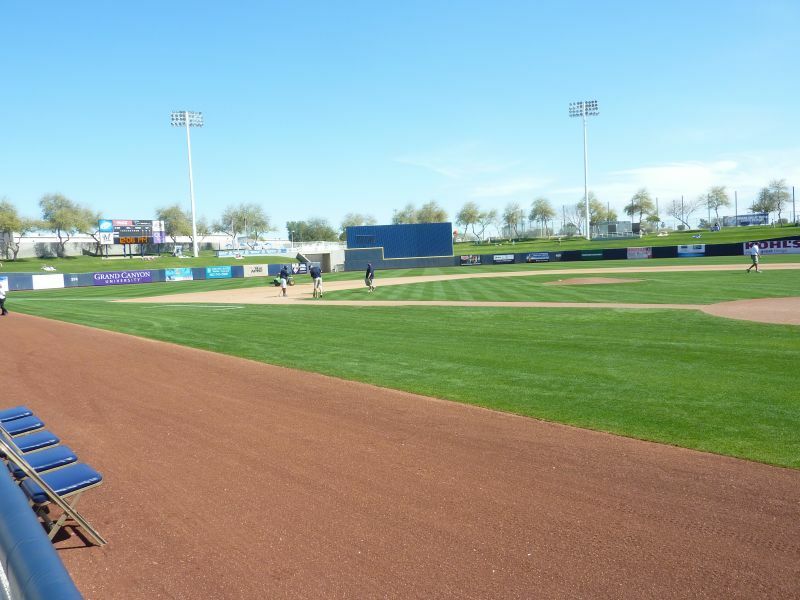 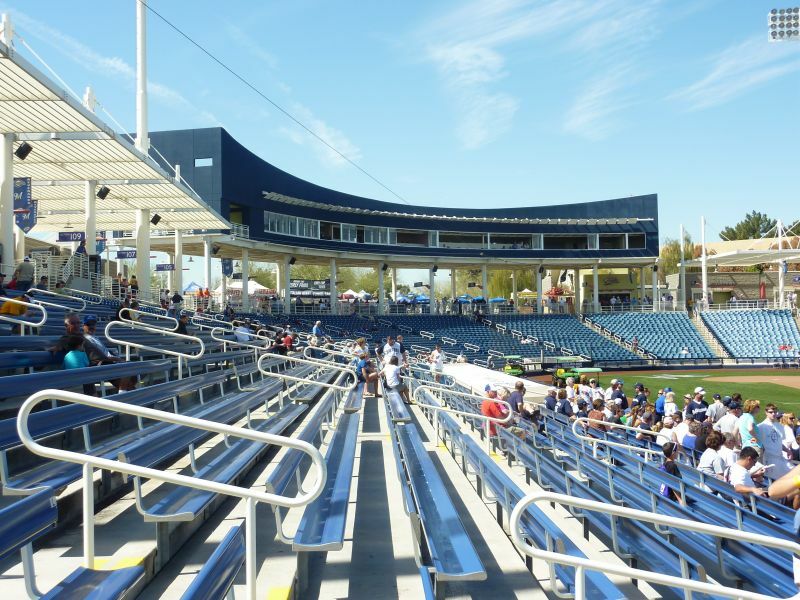 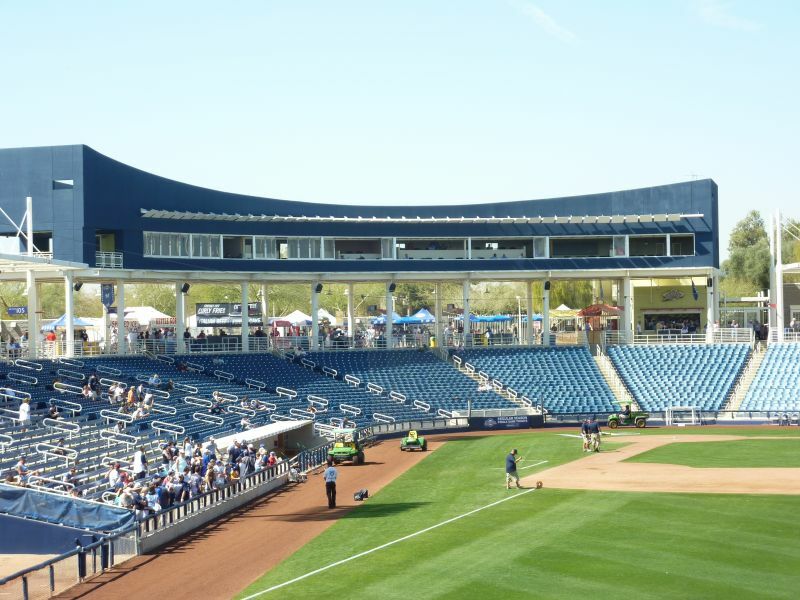 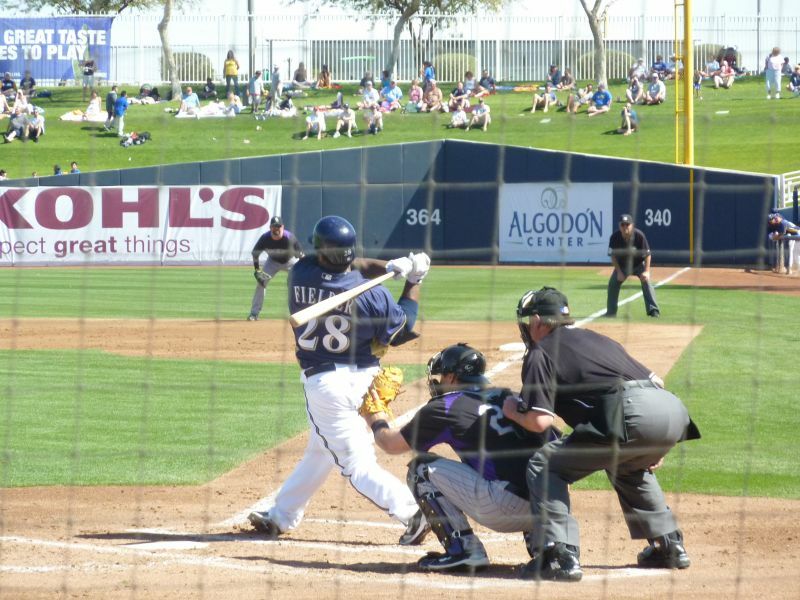 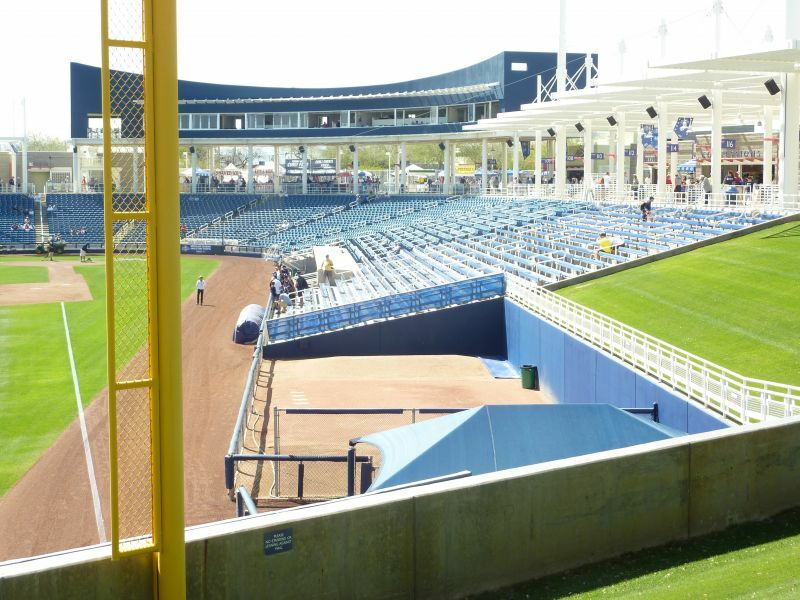 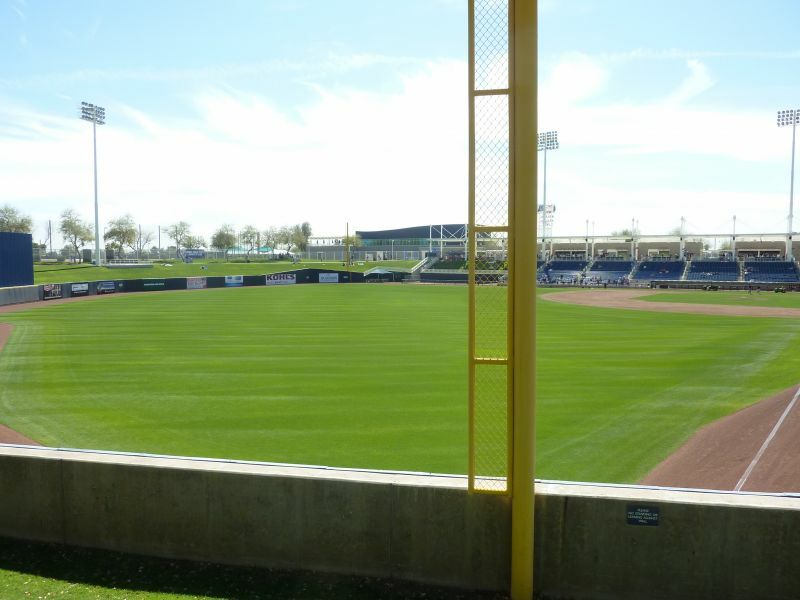 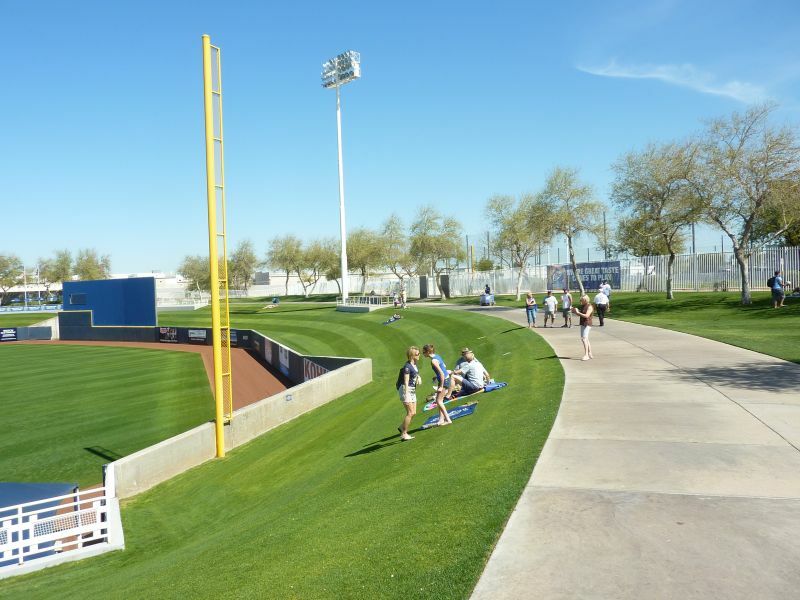 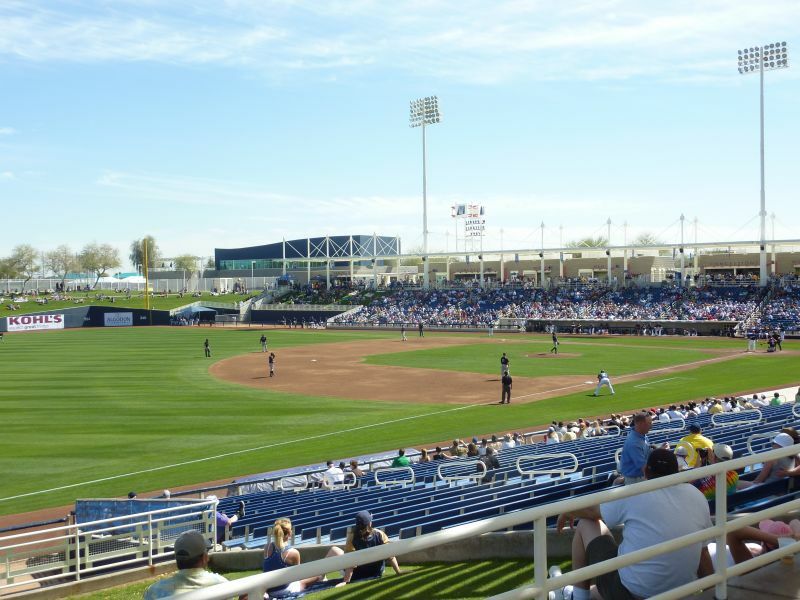 I’m not going to try to make the argument that the Brewers’ spring training ballpark is the best in baseball, or even in the top half for that matter. 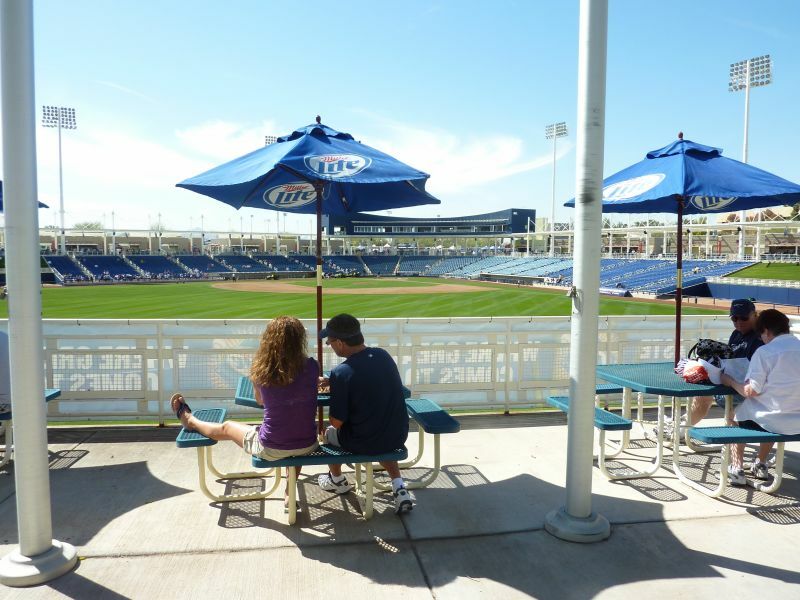 My ballpark reviews may be criticized for overvaluing amenities and other objective factors, but that’s just a product of the ratings system, not necessarily my subjective attachment to the ballpark. 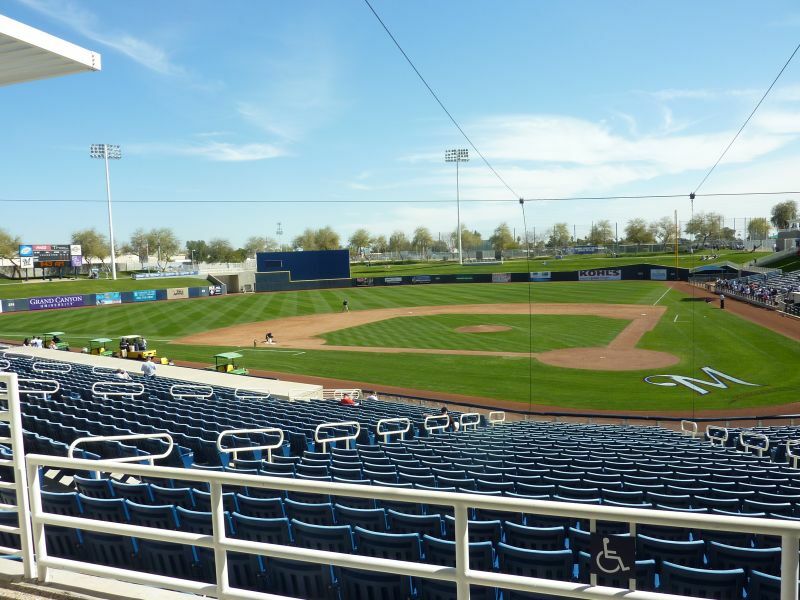 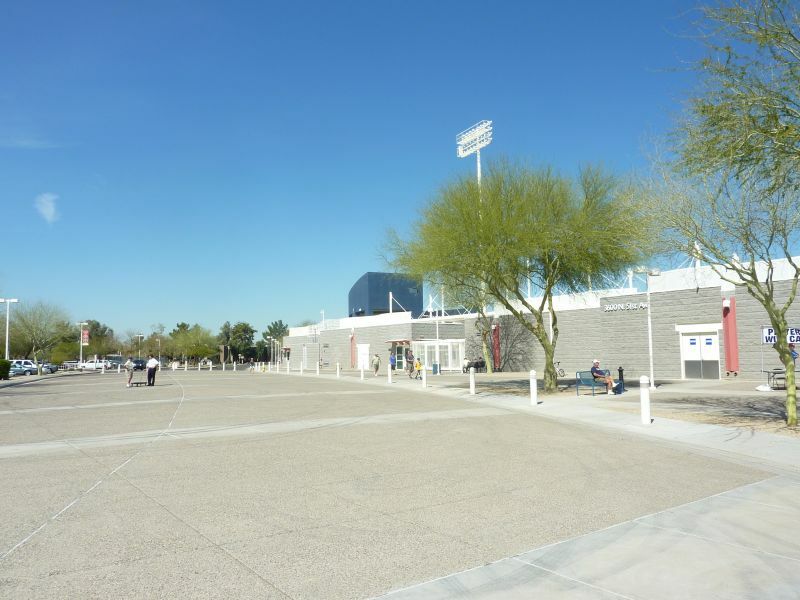 Maryvale Baseball Park is the first ballpark I’ve reviewed where my subjective feelings about the design aesthetics and the ballpark itself are at odds with the overall score. 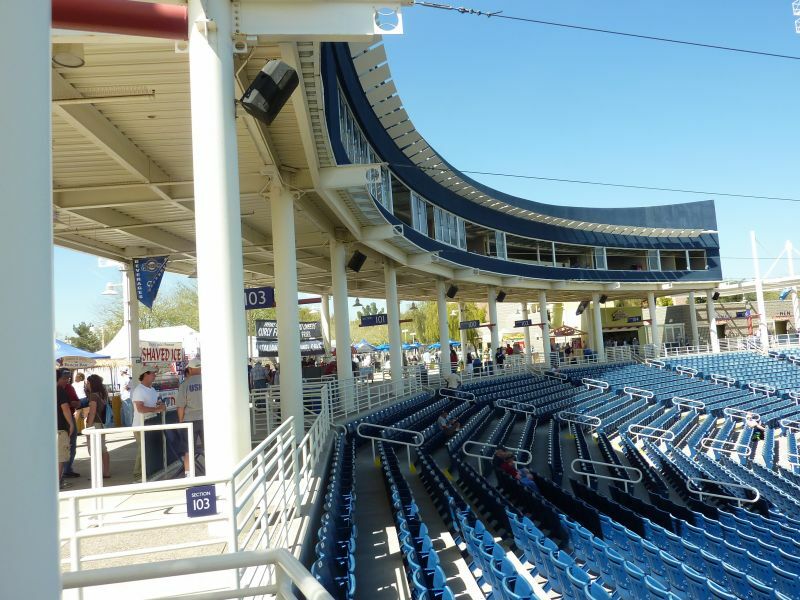 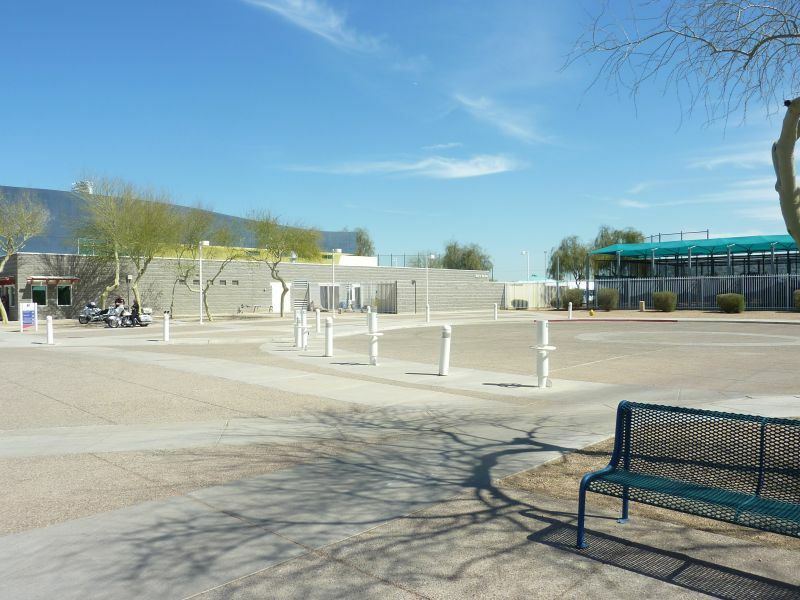 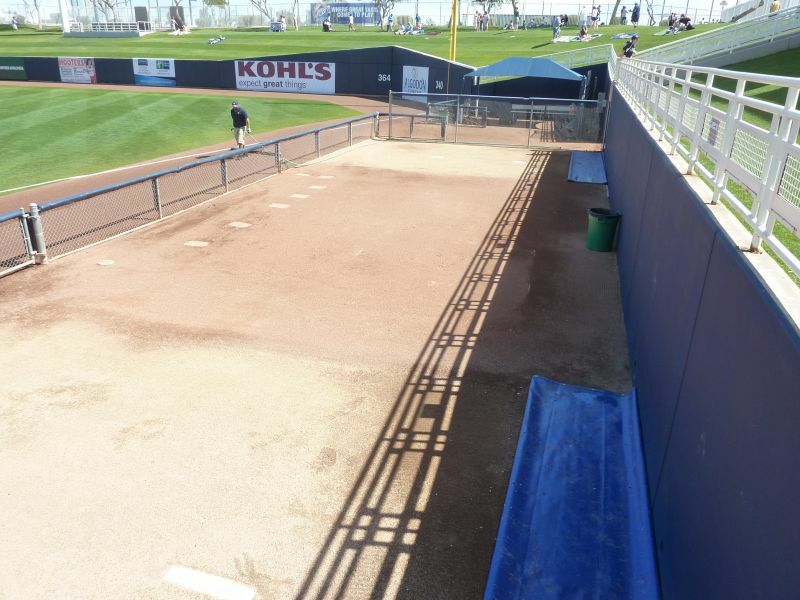 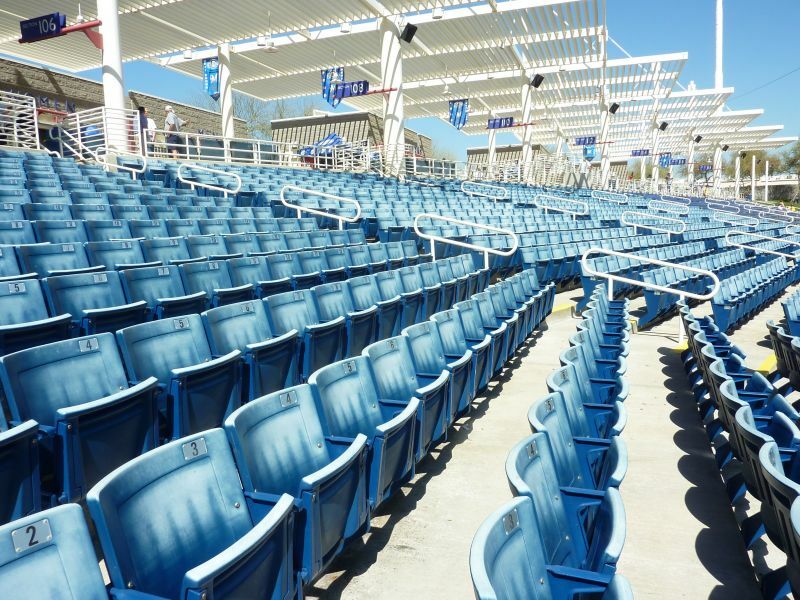 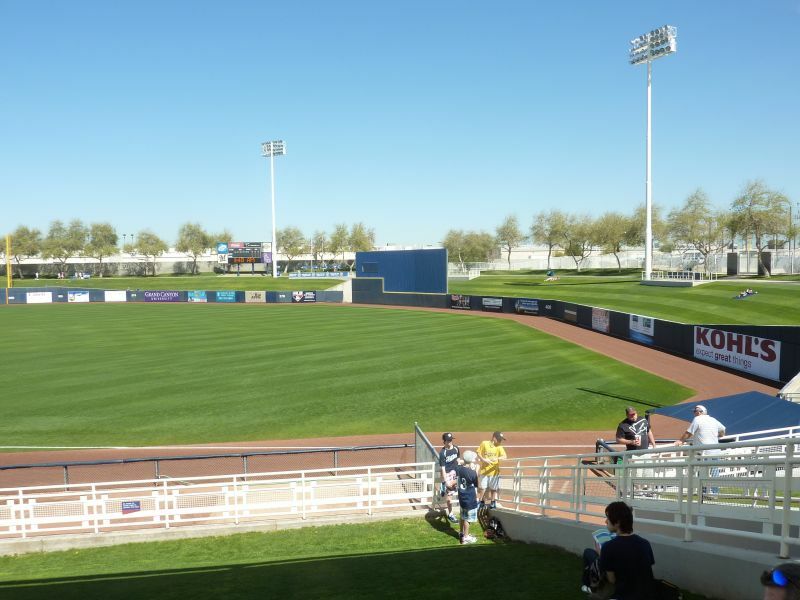 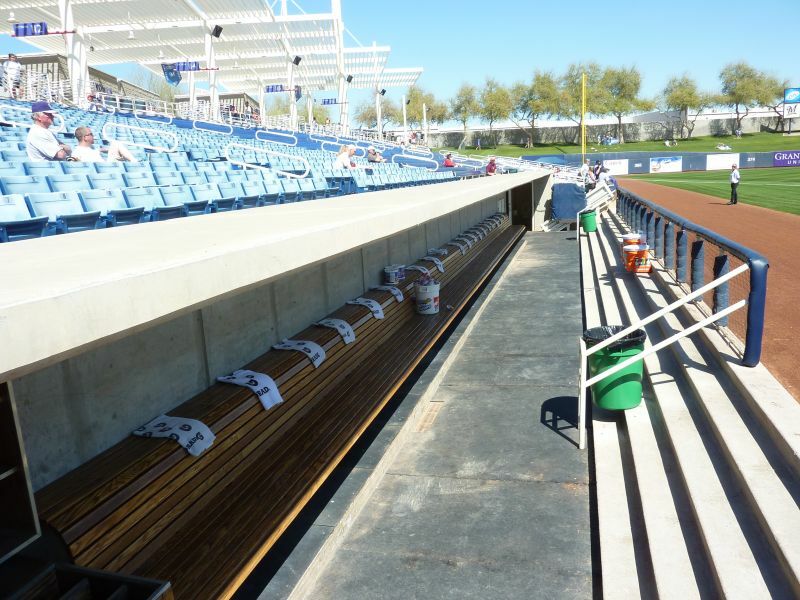 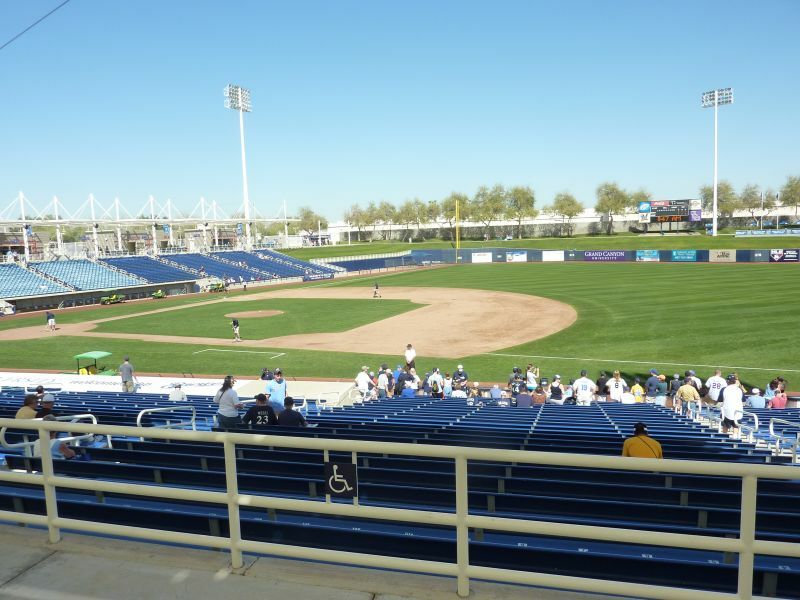 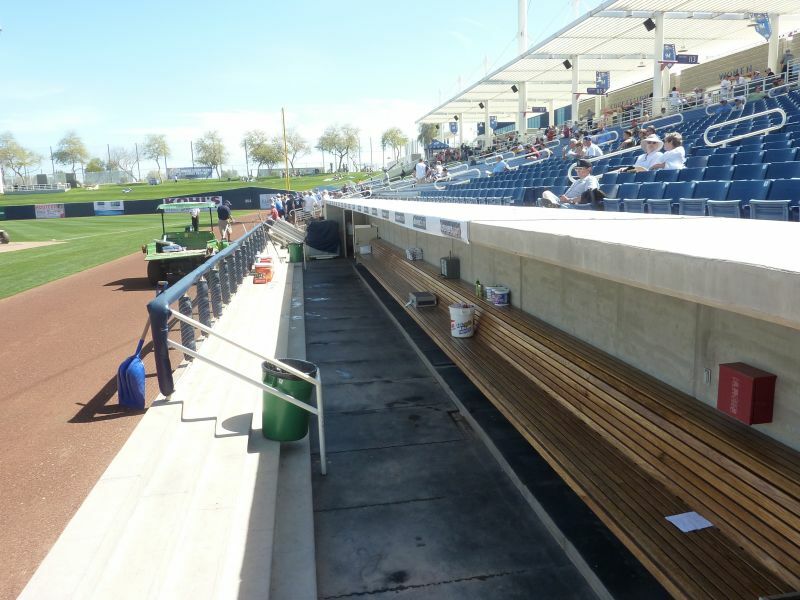 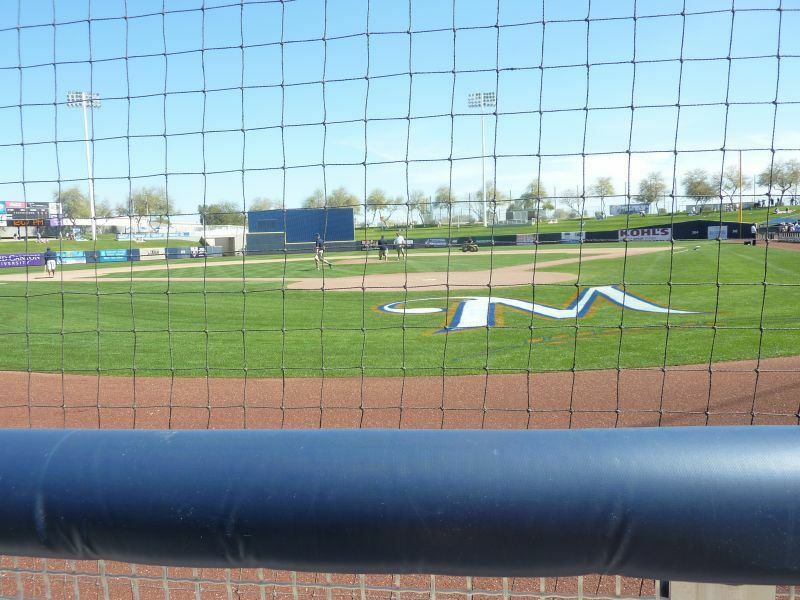 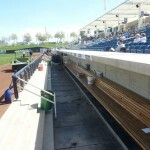 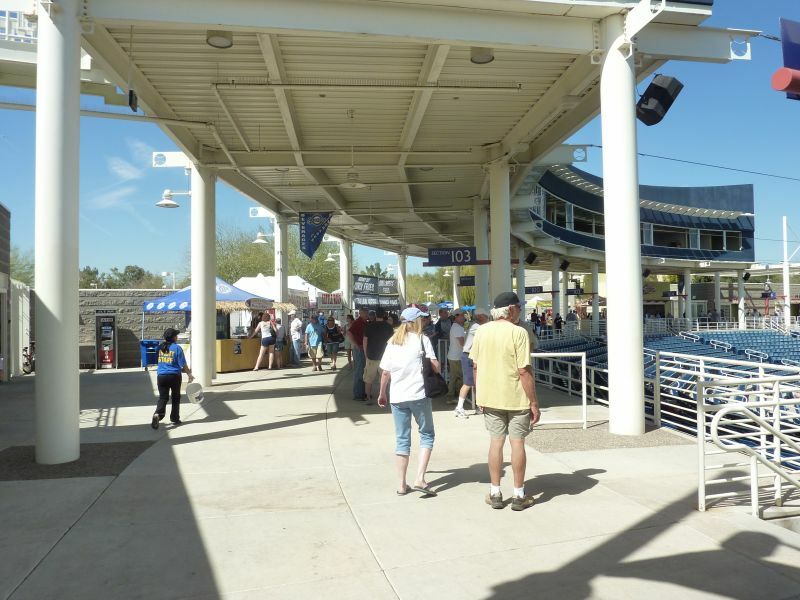 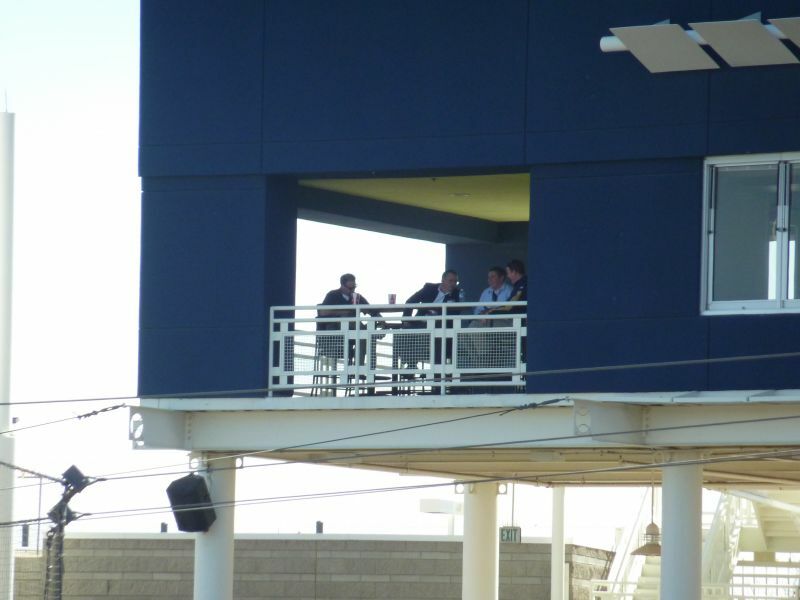 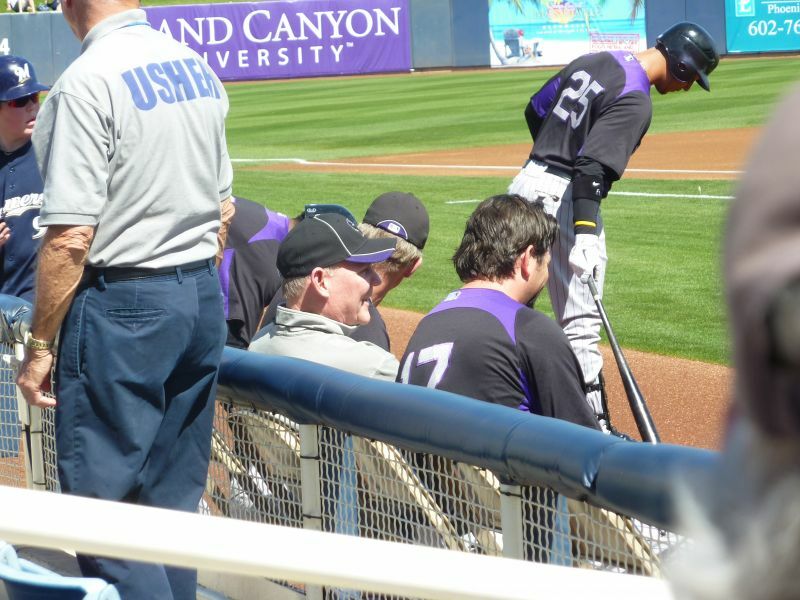 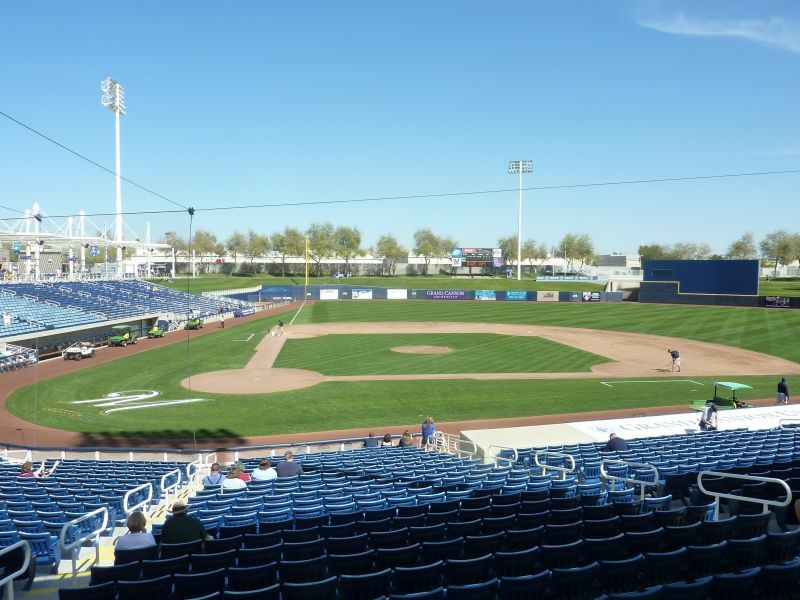 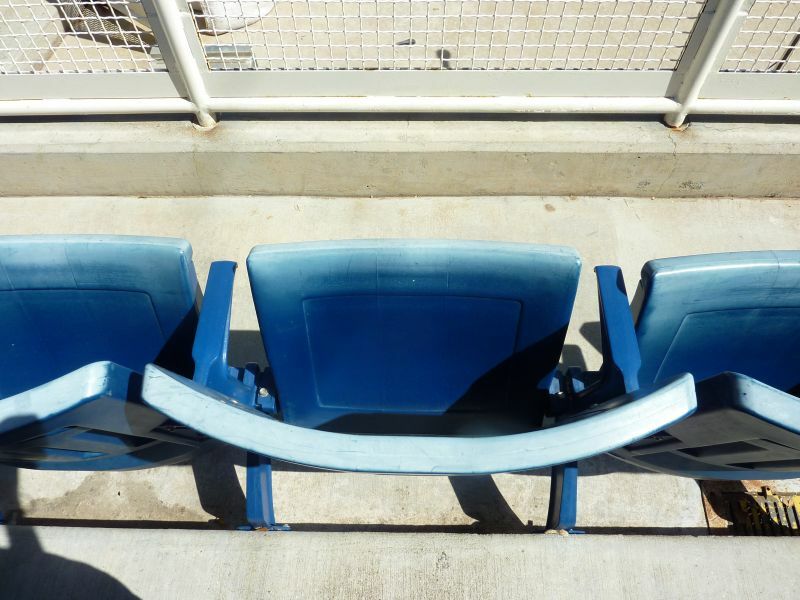 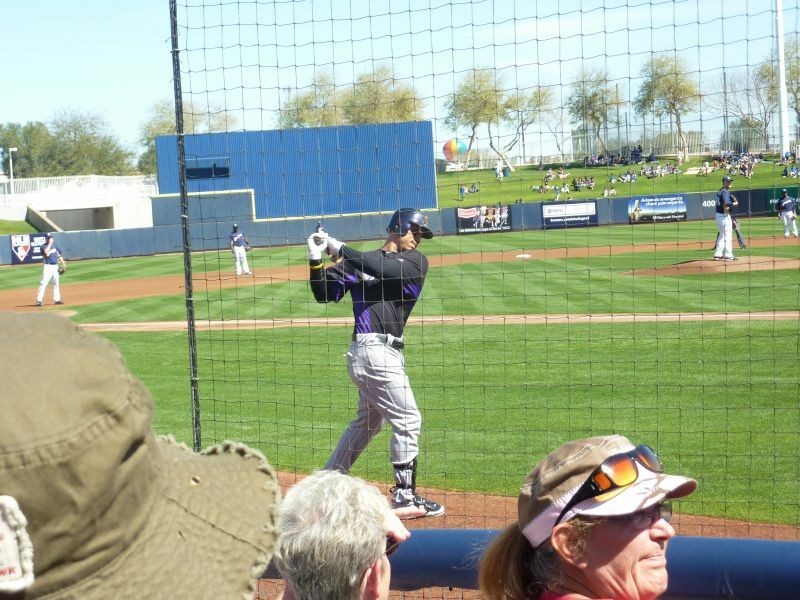 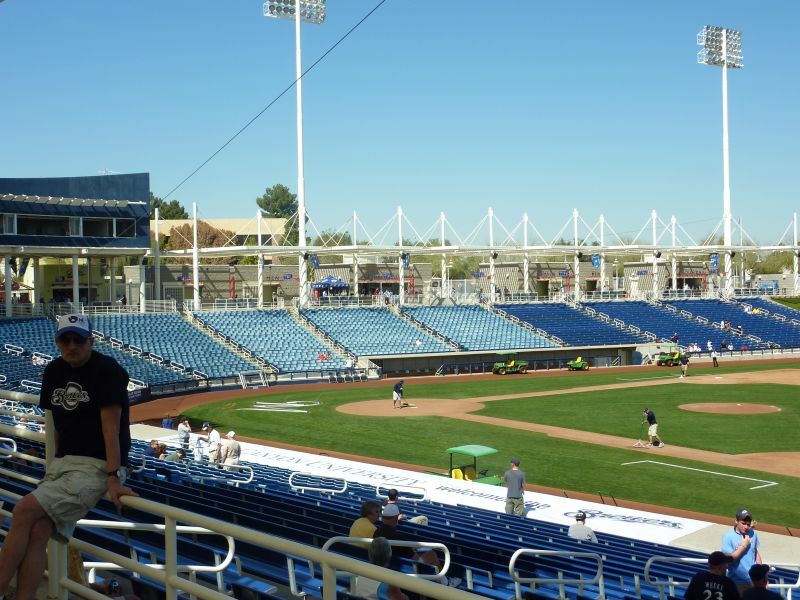 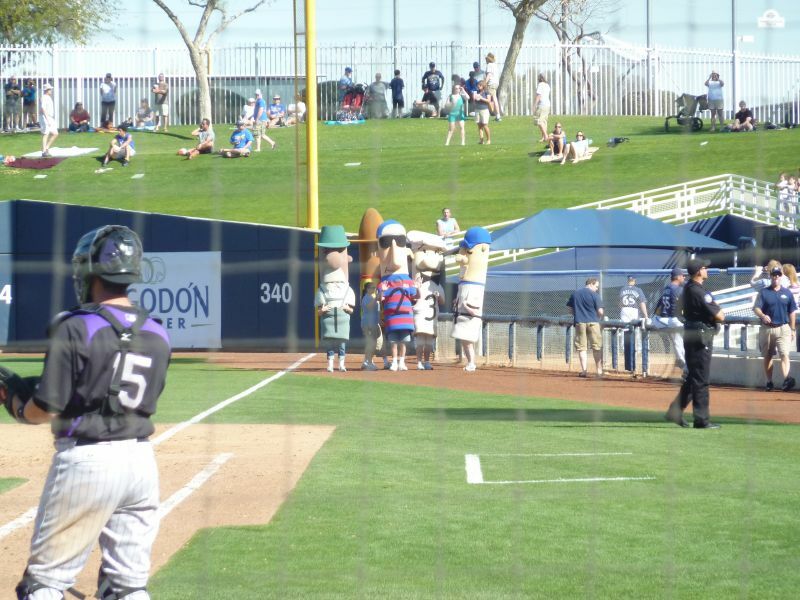 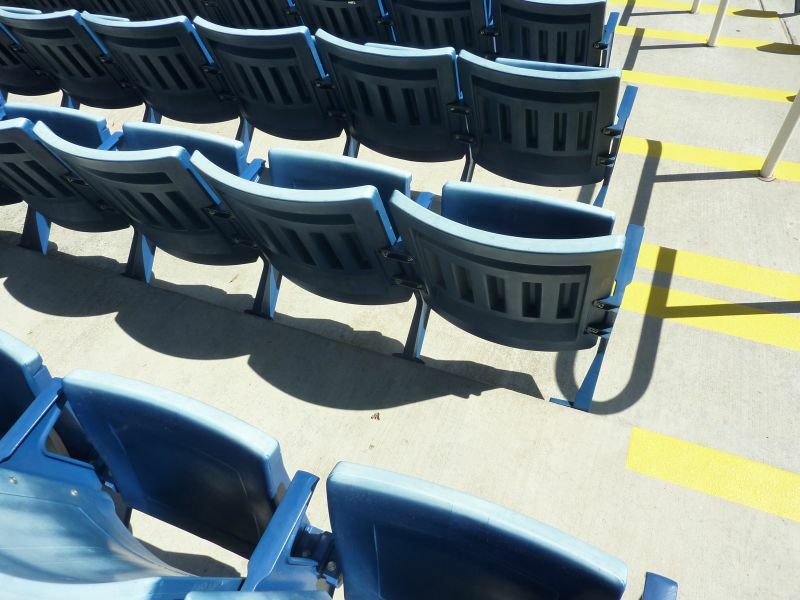 The setting is probably the worst in the Cactus League, the seats are old and lacking cup holders, there’s no video board, attendance has perennially been in the cellar until recently, and there’s no premium seating/party decks or entertainment options. 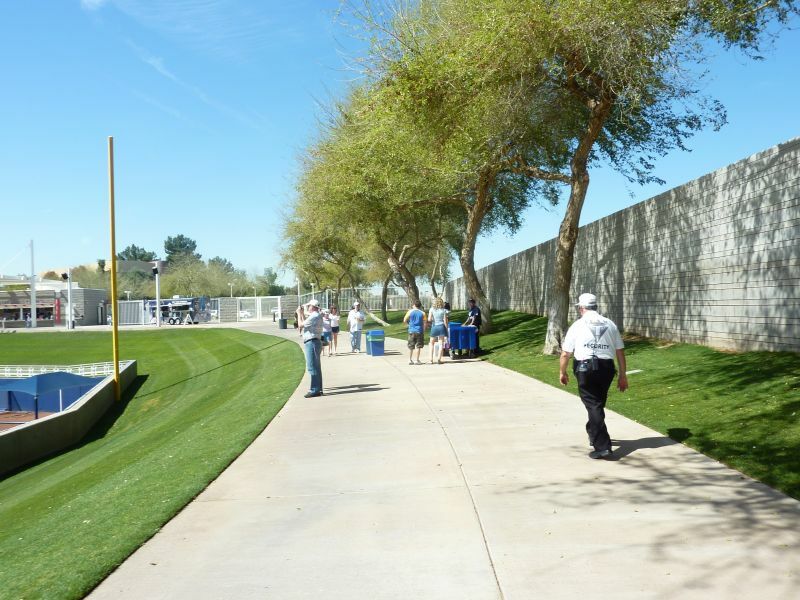 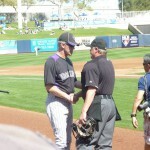 It’s as much of a no frills ballpark built in spring training during the mid to late 90s. 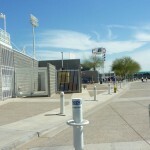 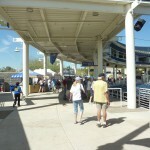 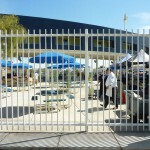 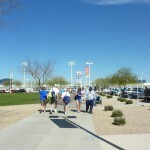 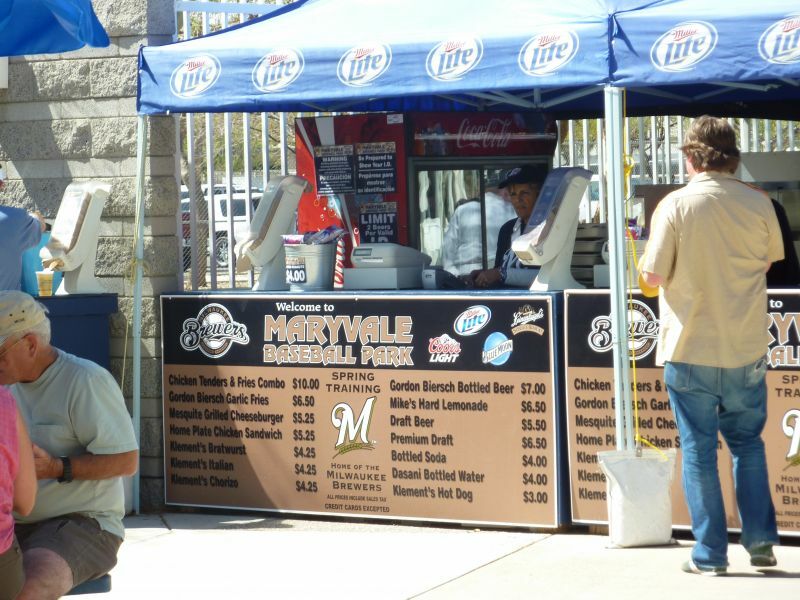 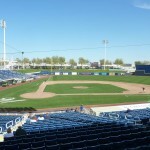 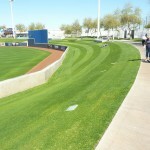 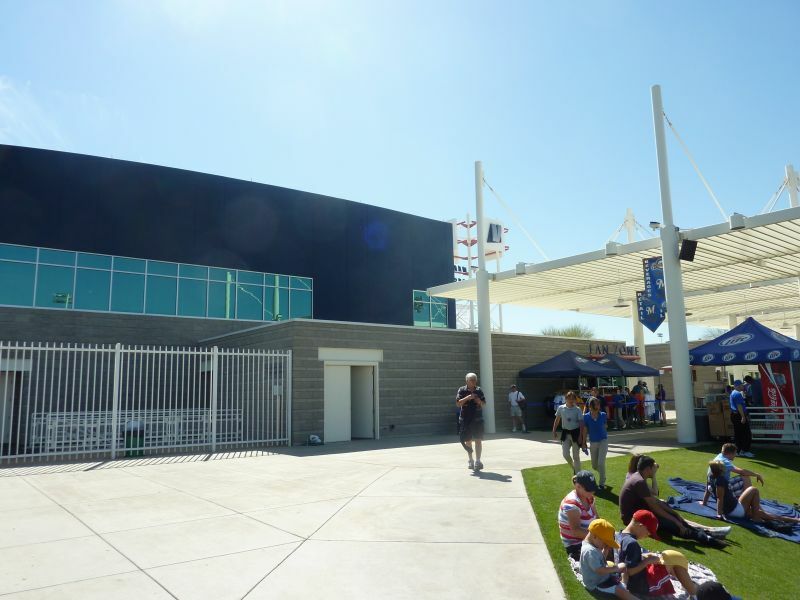 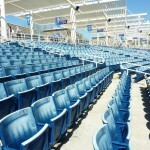 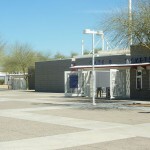 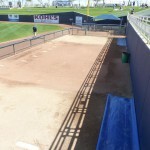 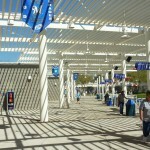 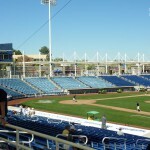 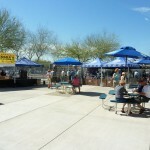 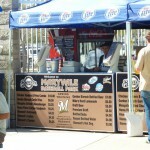 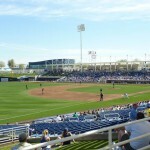 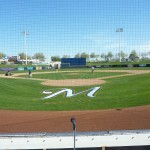 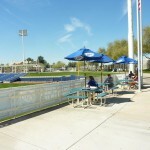 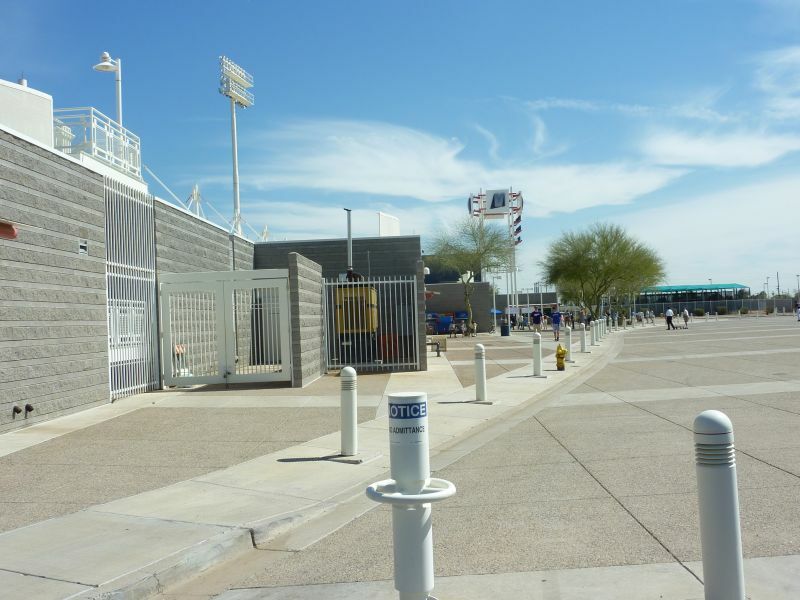 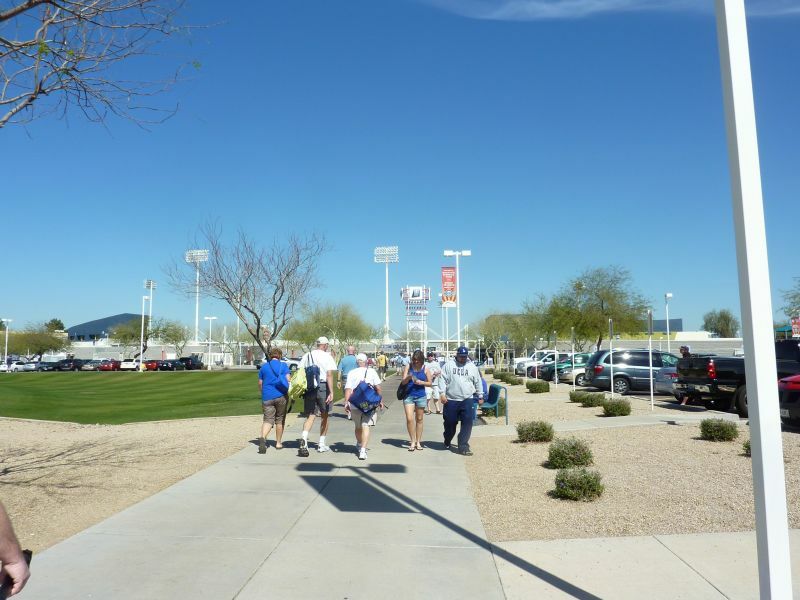 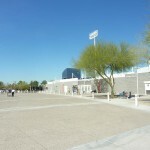 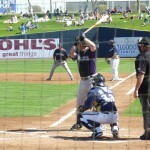 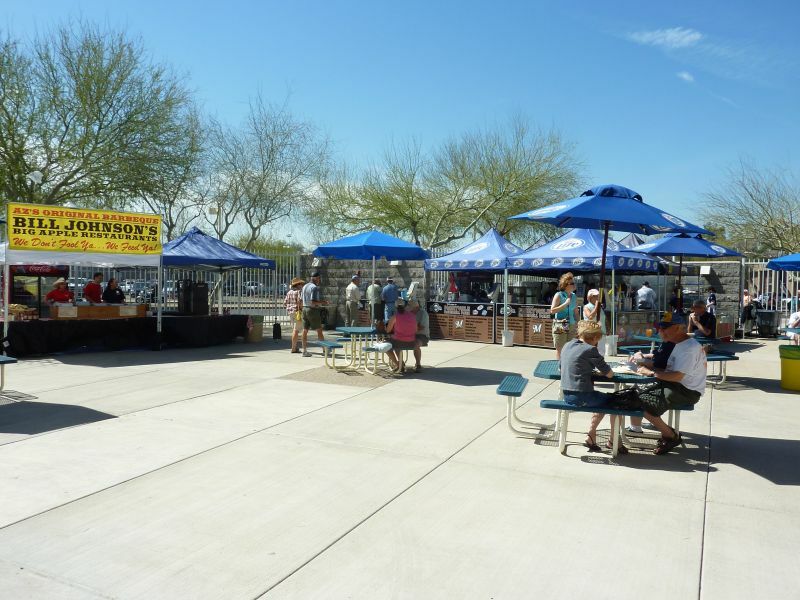 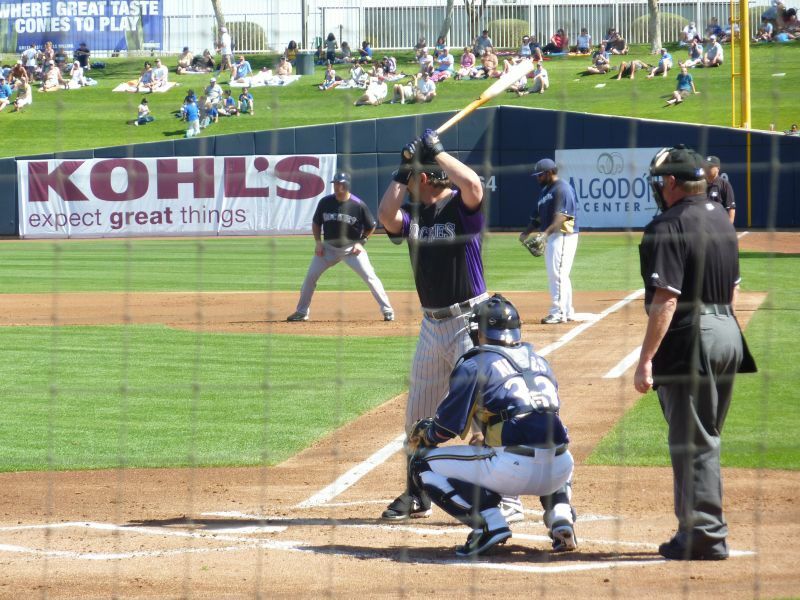 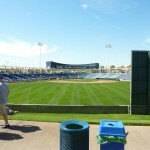 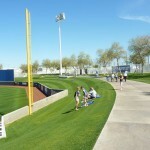 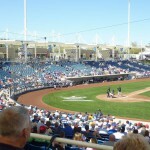 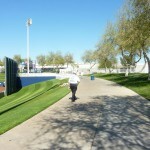 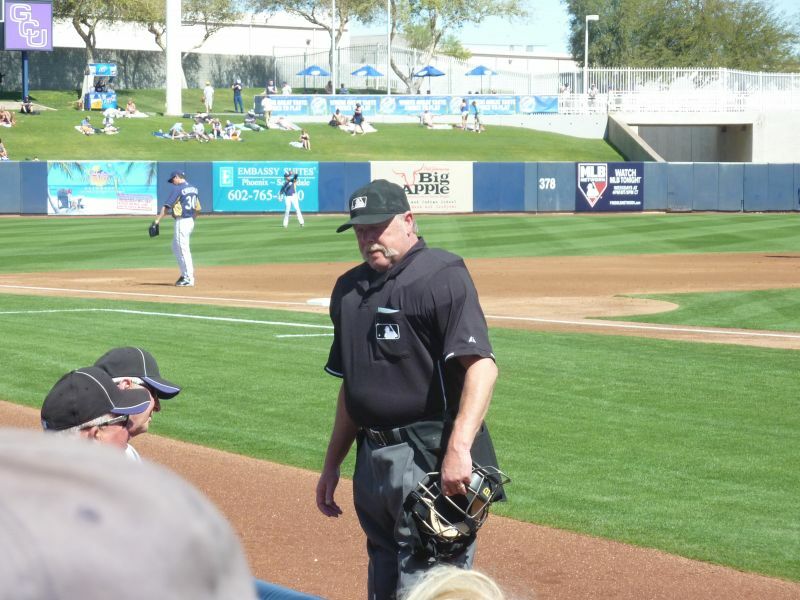 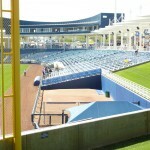 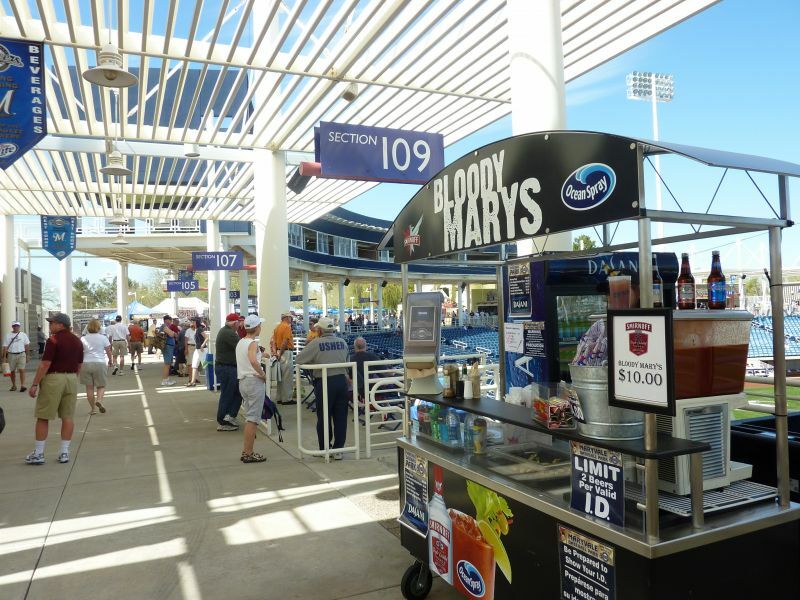 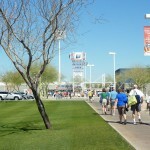 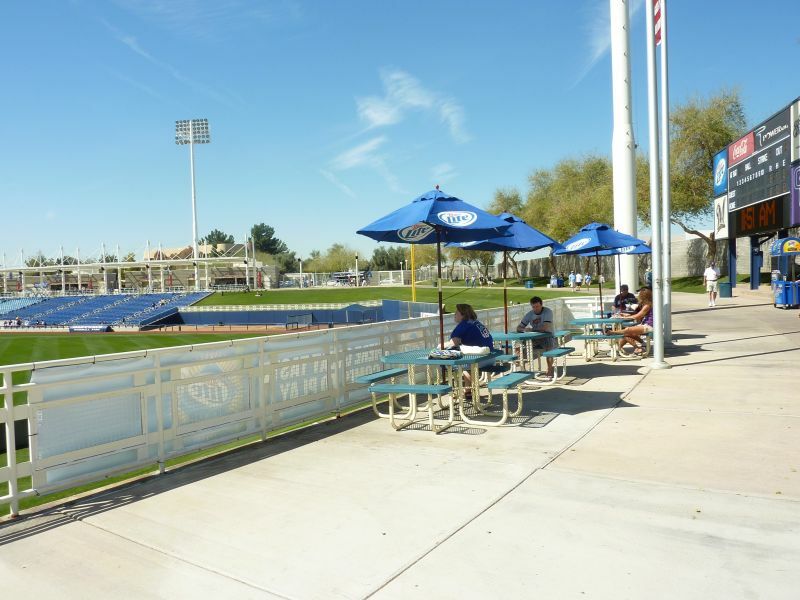 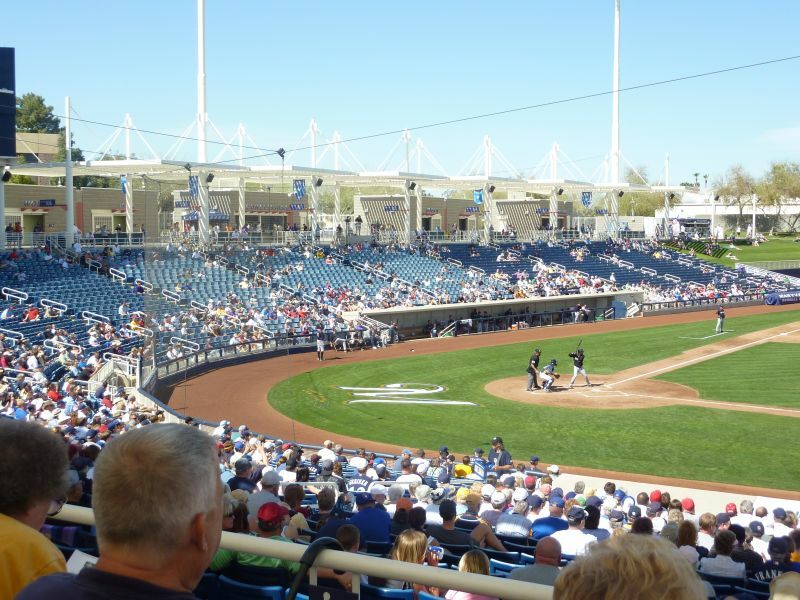 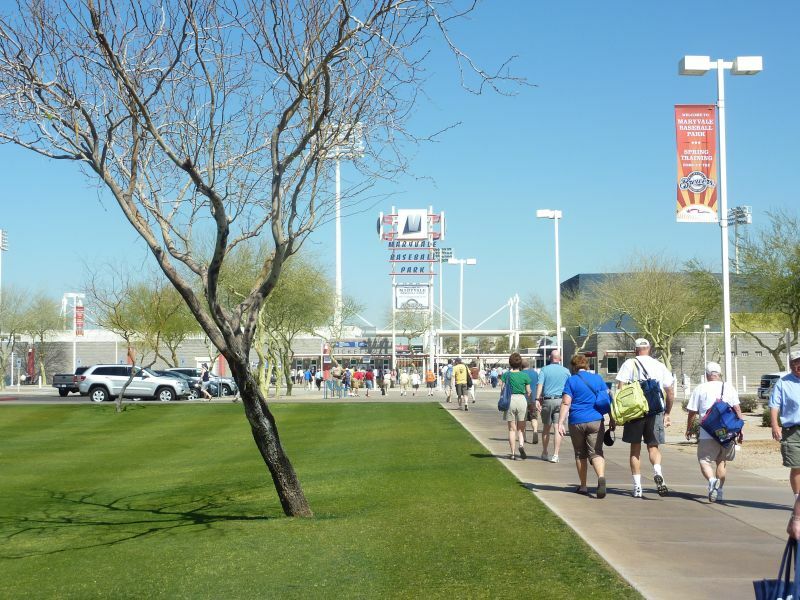 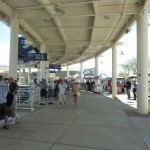 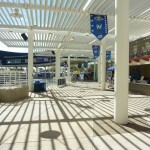 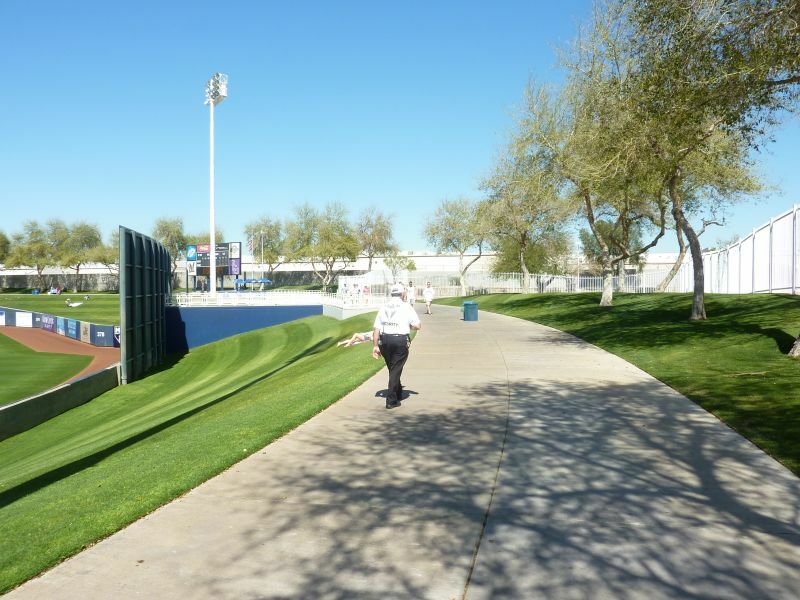 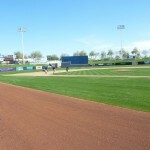 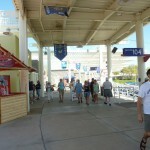 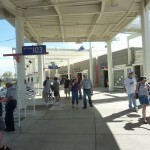 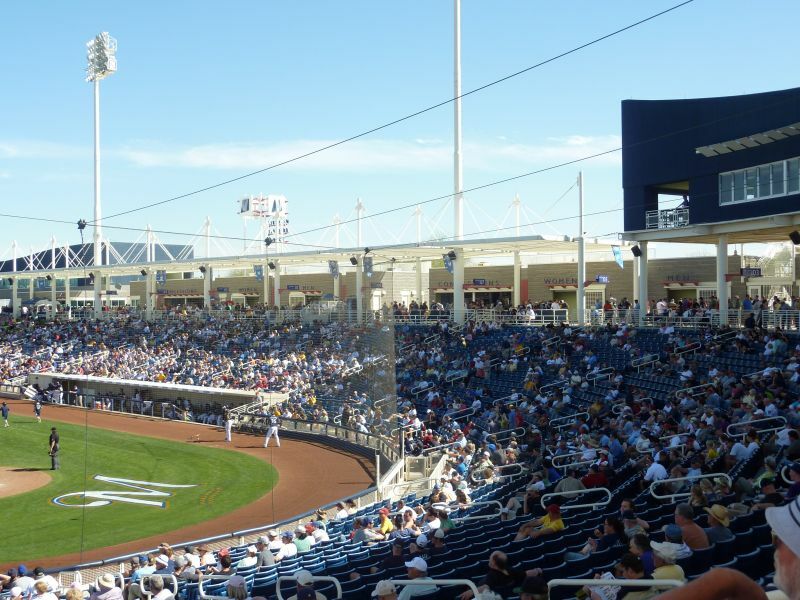 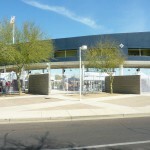 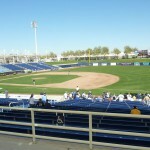 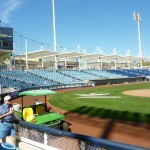 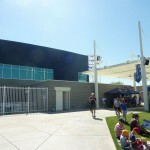 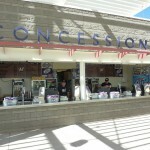 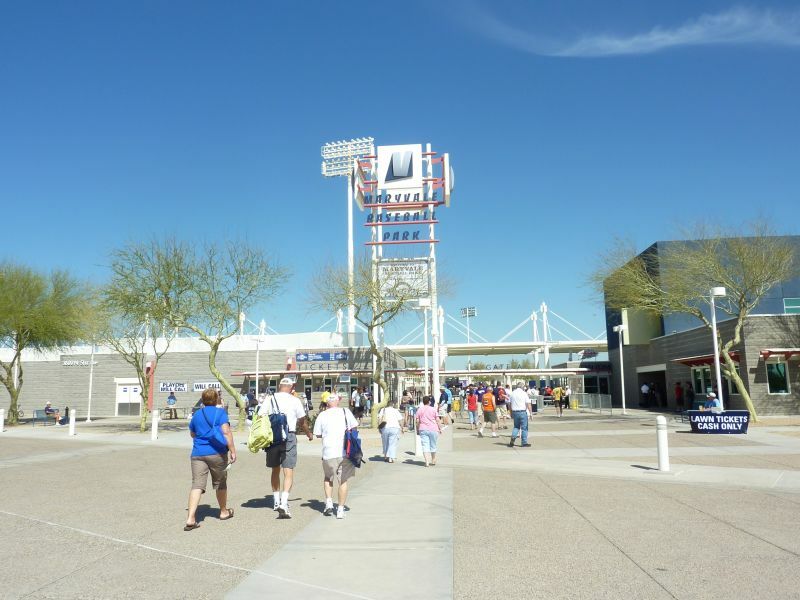 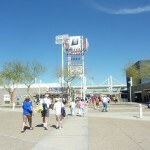 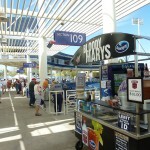 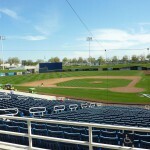 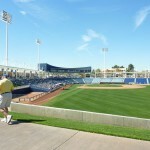 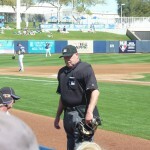 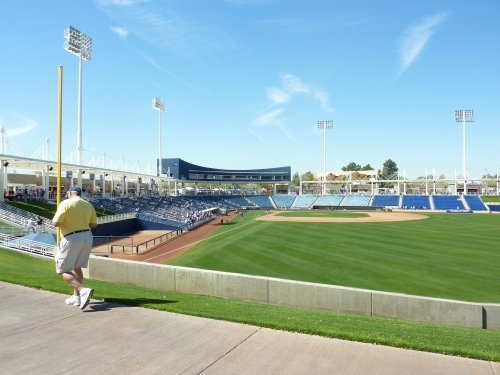 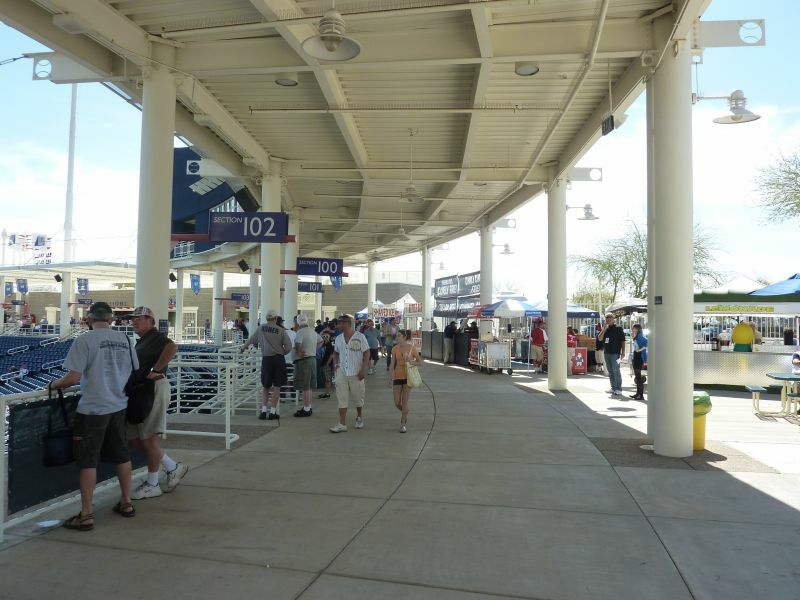 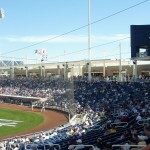 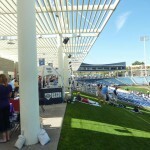 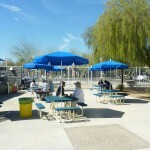 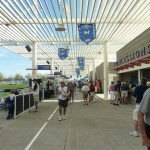 Design wise, Maryvale Baseball Park is the most recognizable and underrated ballpark in spring training. 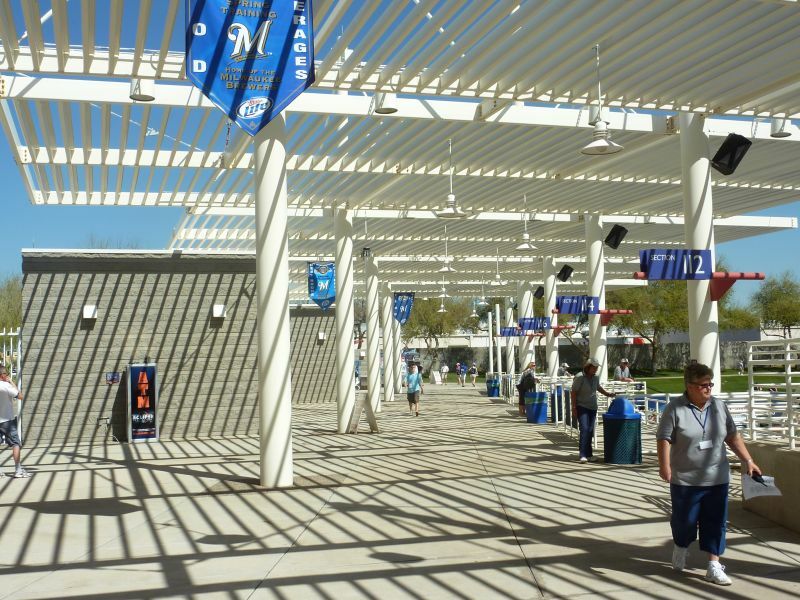 But the ballpark still manages to score reasonably well because of its unmistakable originality in terms of architectural design vision. 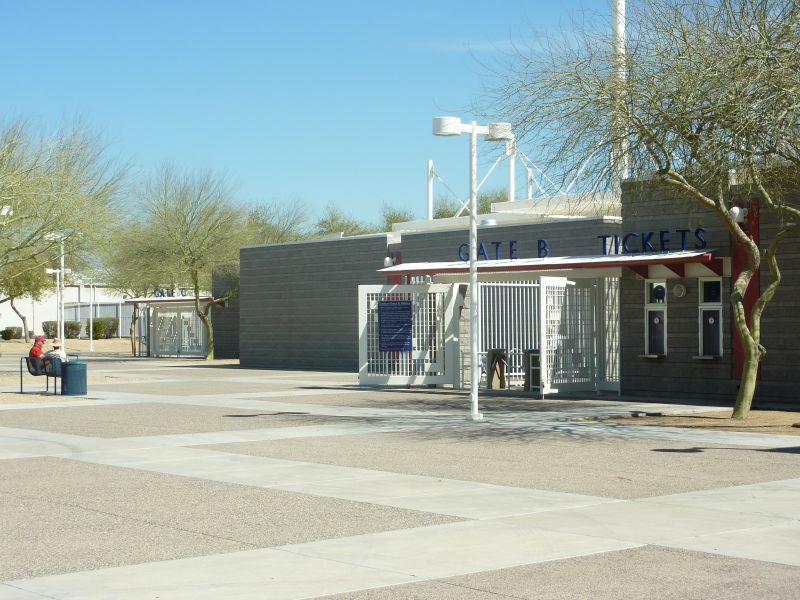 This is the first ballpark I’ve reviewed that manages to pull off the authentically simple and elegantly minimalist vibe, instead of crossing into the usual territory of basic and boring. 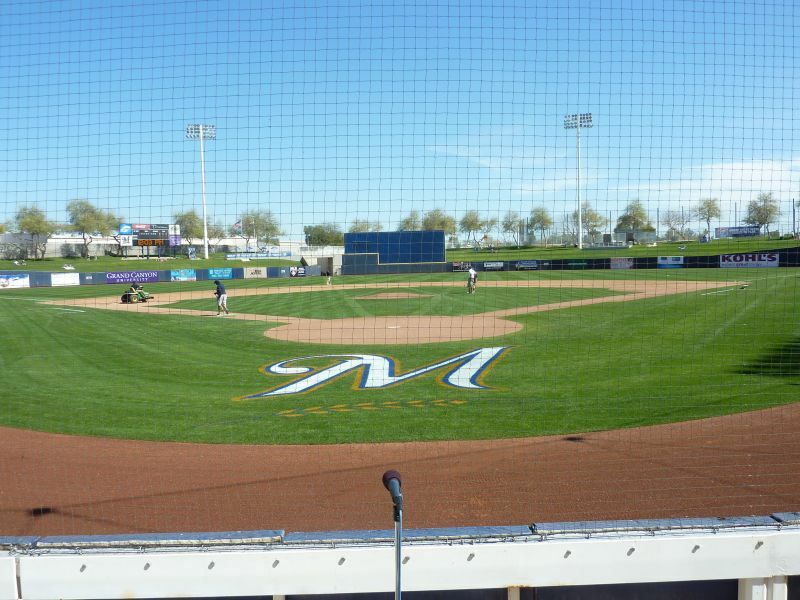 I’m often one to characterize simple ballparks like this as uninspired, but Maryvale manages to pull off the quaint sensibility due to its unrivaled personality and clearly articulated design concept. 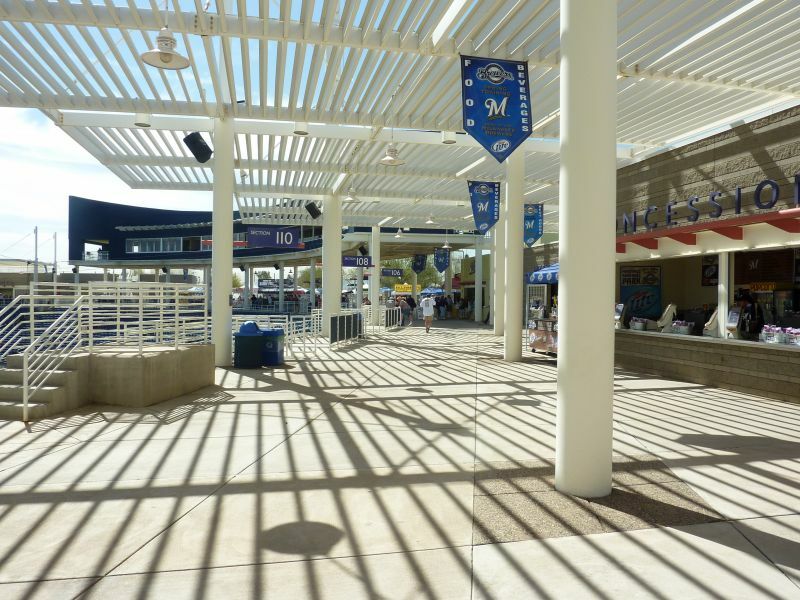 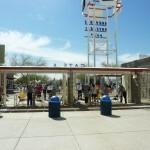 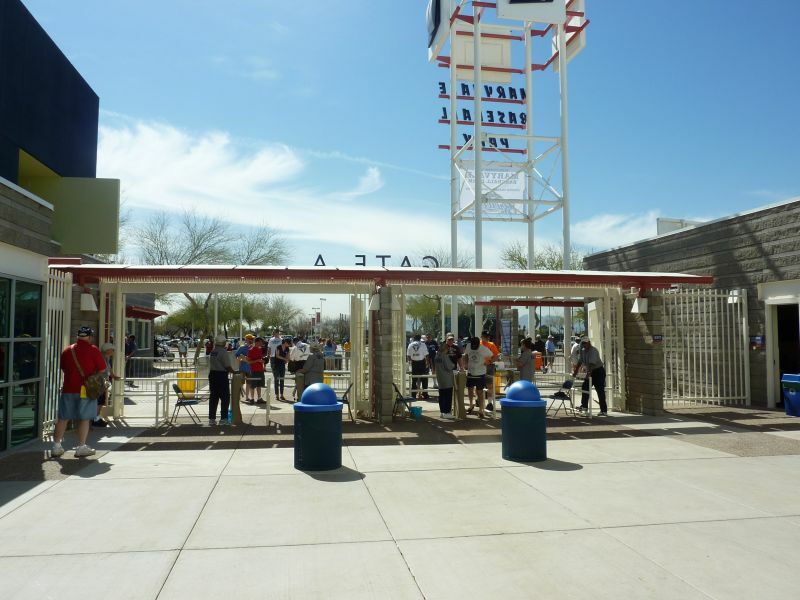 In an era of the ubiquitous southwestern motif, Maryvale Baseball Park is distinctly unmistakable. 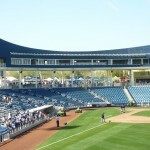 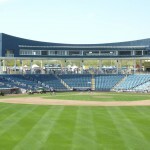 The exterior design is unlike any other, with no traditional façade behind home plate and jagged, gray, stonework down the lines. 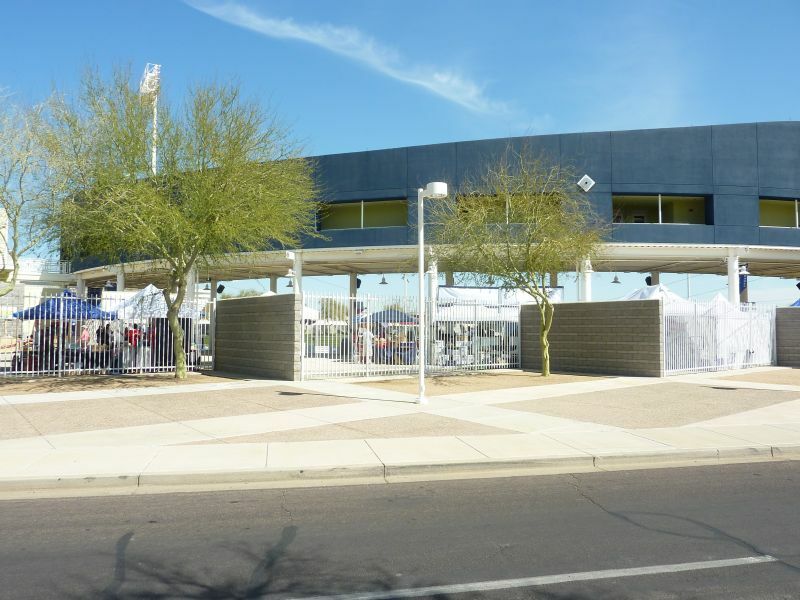 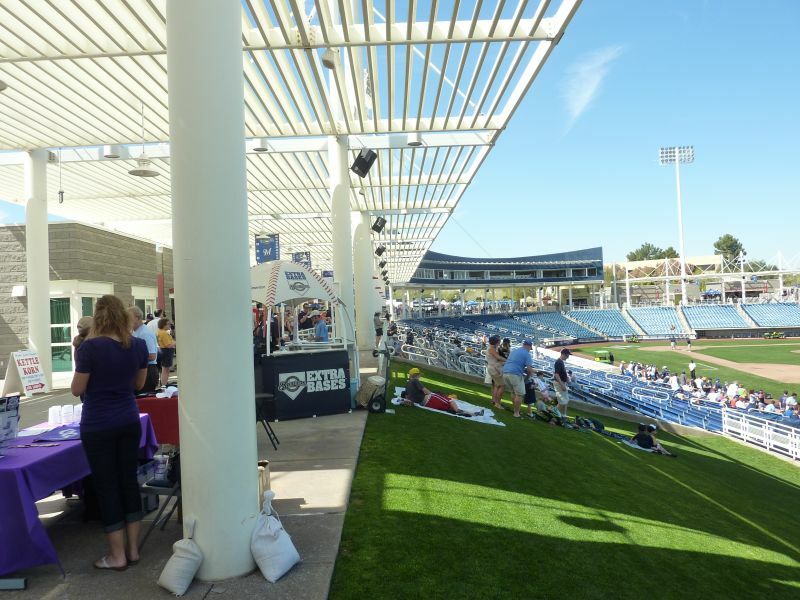 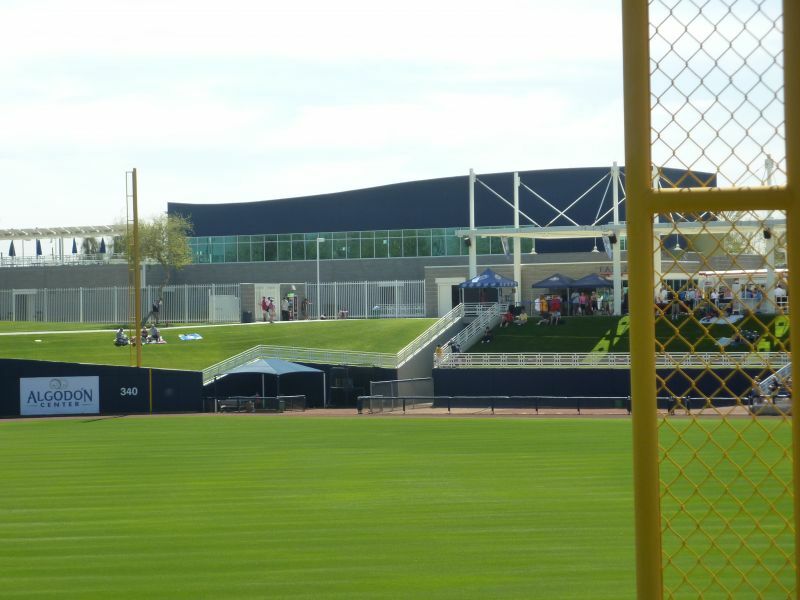 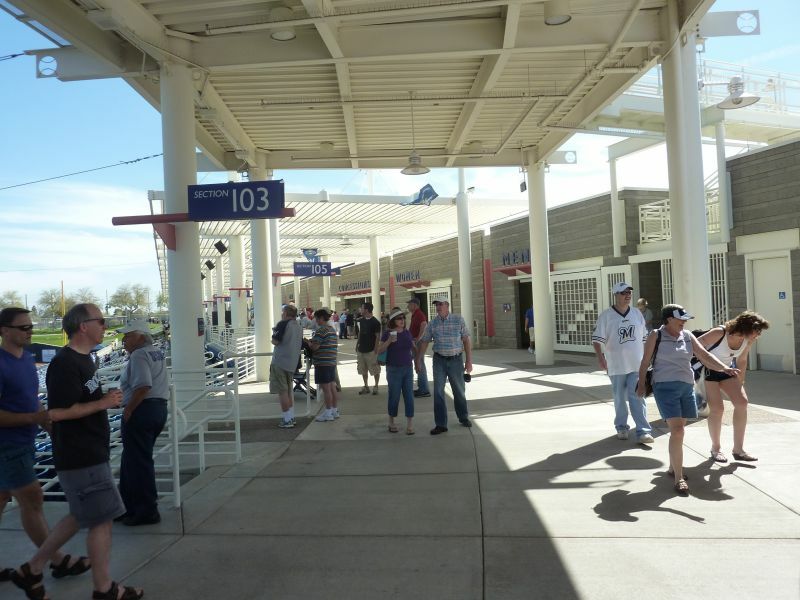 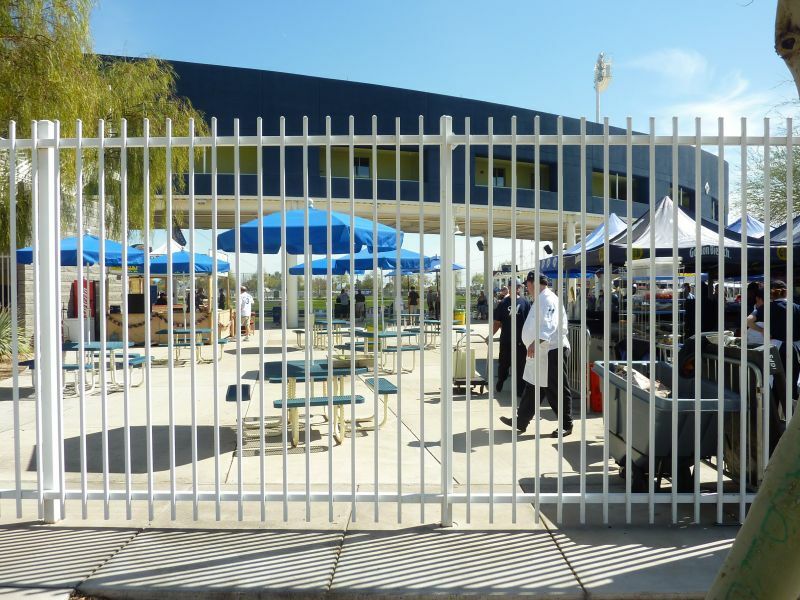 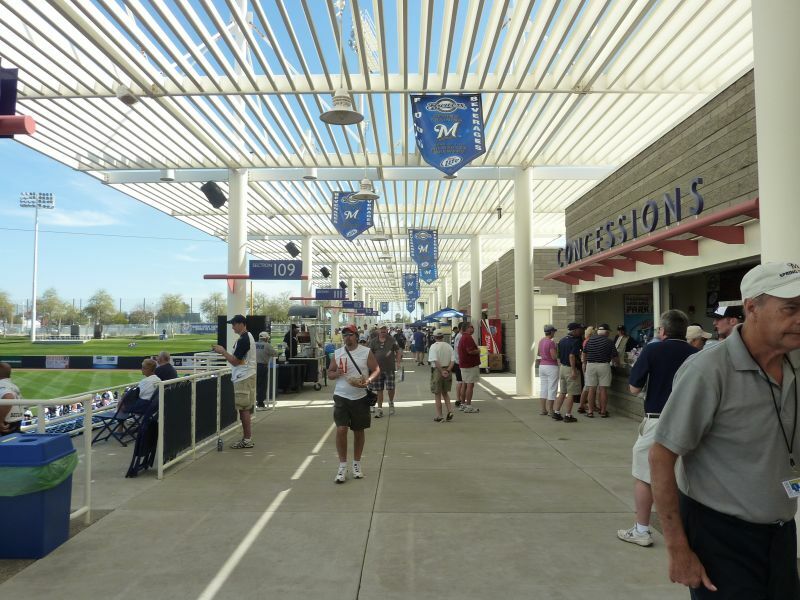 The color scheme throughout the concourses is indescribably differentiated from any ballpark I’ve ever seen, characterized by a minimalist white trellised canopy and an unusual combination of gray brick, imposingly modern capitalized blue signage, and dark pink columns. 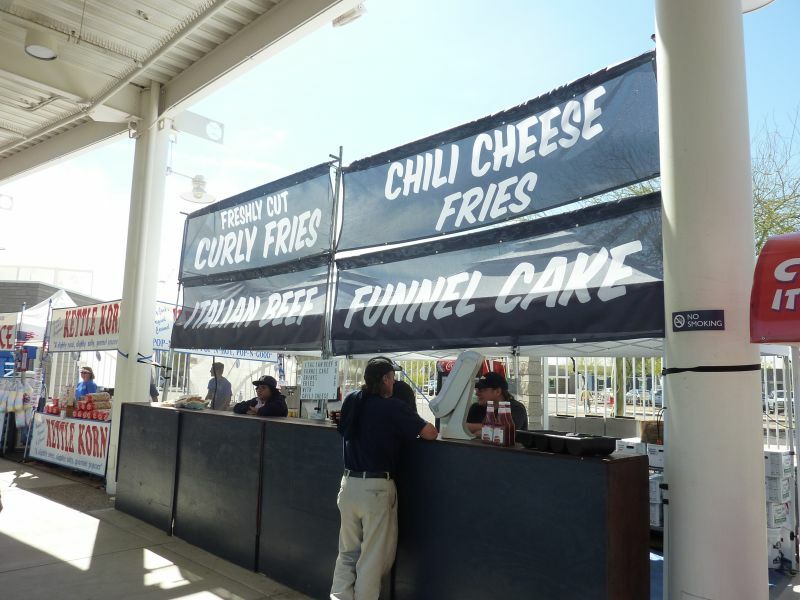 I don’t know how to construe this surprisingly flavorful combination. 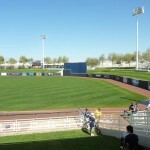 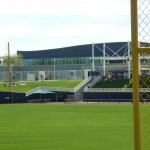 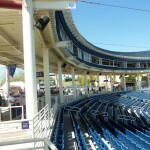 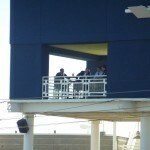 The dark blue curvilinear press box is the icing on the cake, anchoring the most unique ballpark in all of spring training. 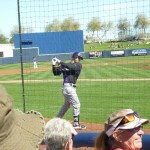 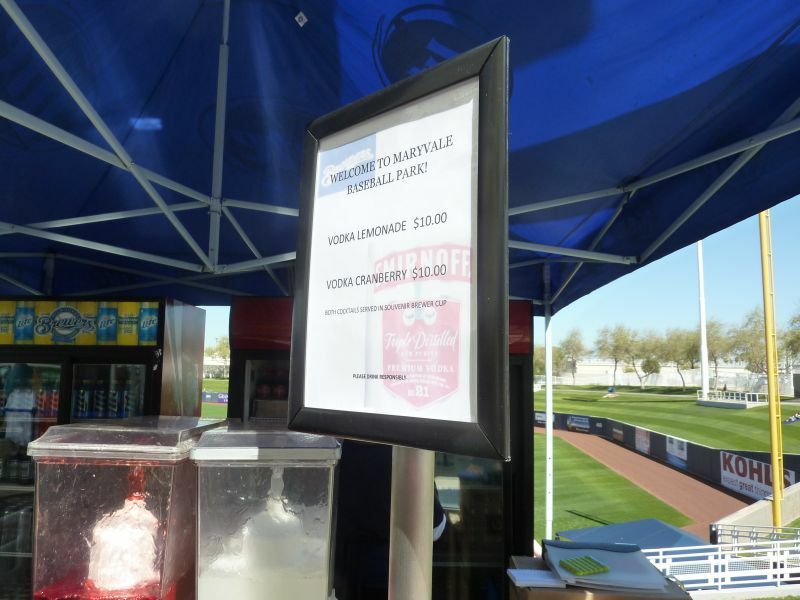 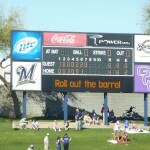 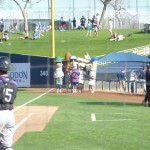 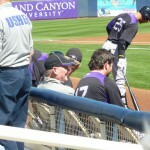 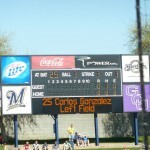 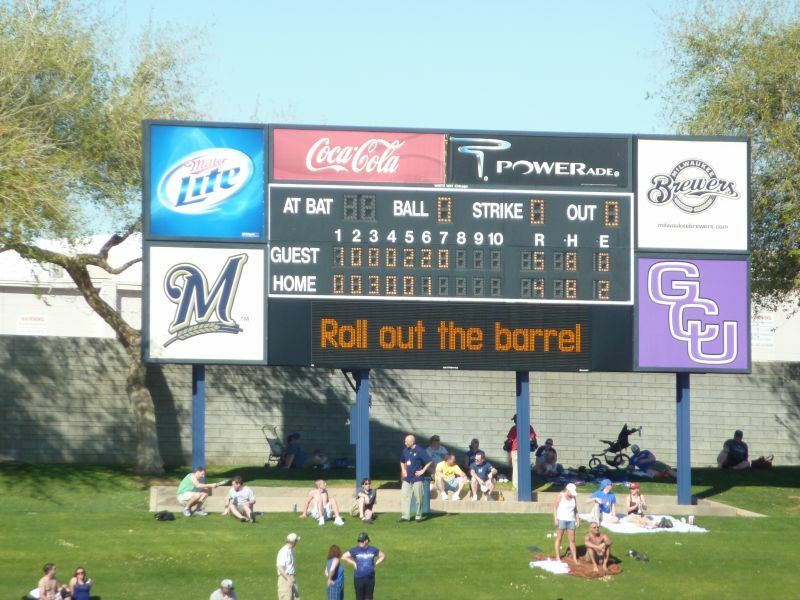 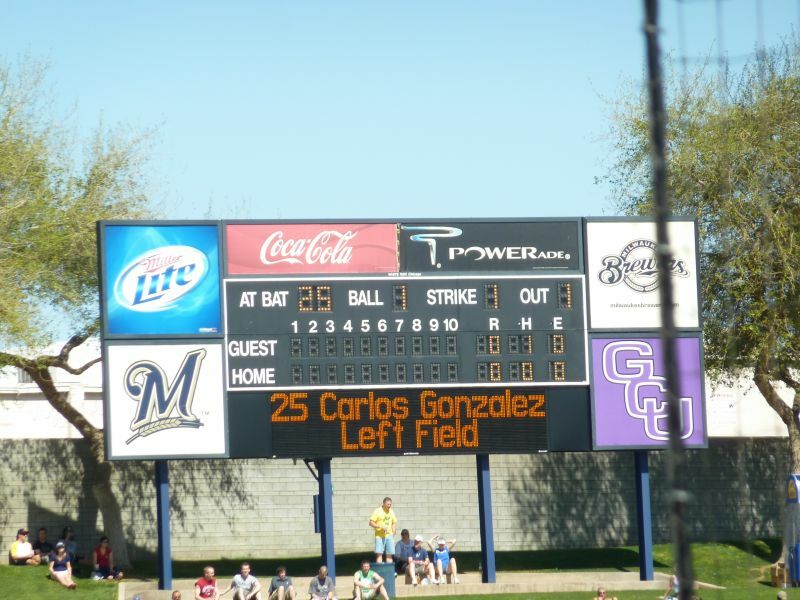 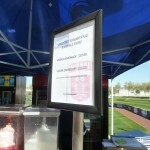 But Maryvale Baseball Park’s obviously low-ish score is still warranted. 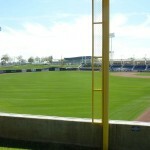 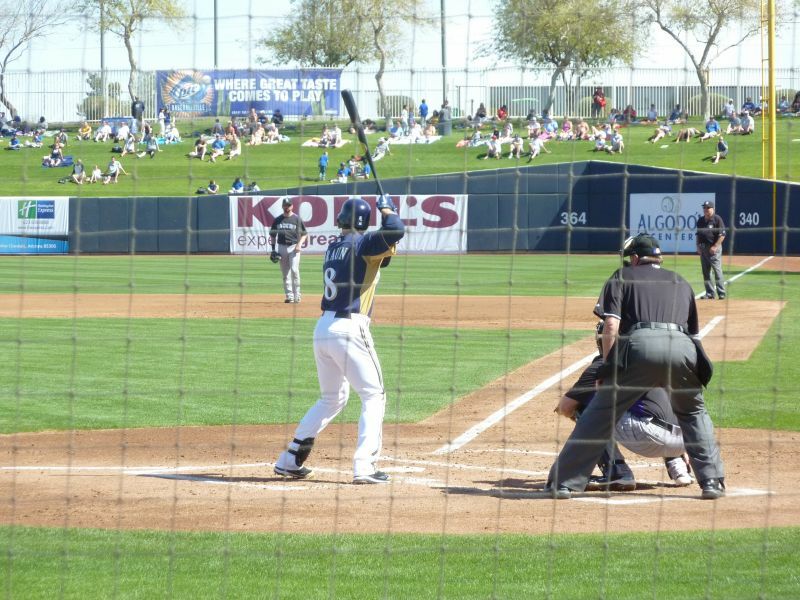 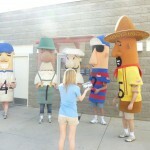 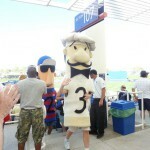 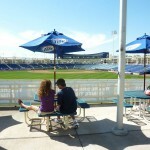 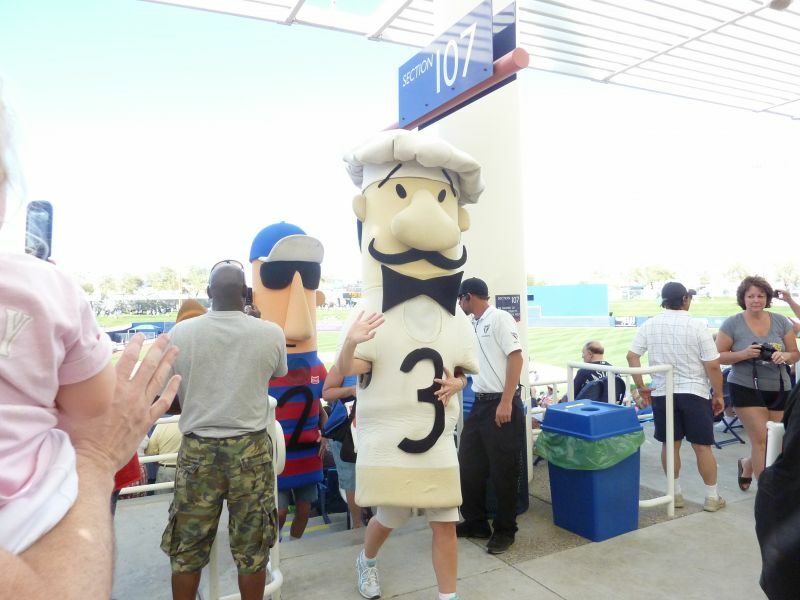 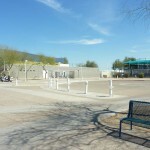 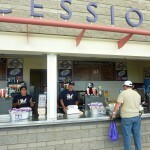 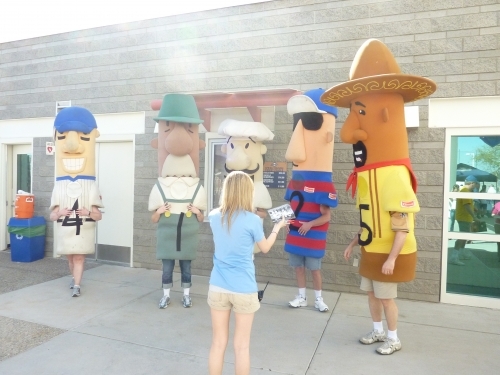 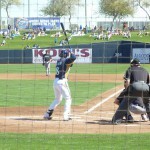 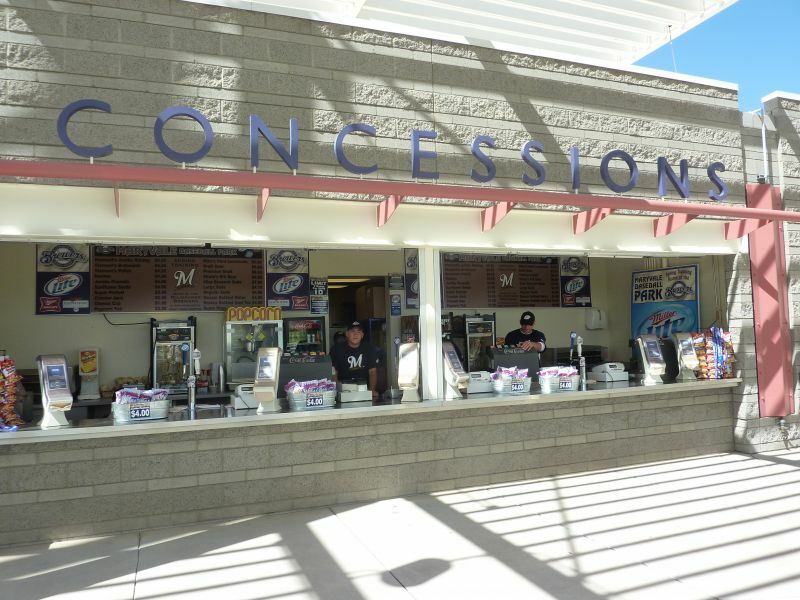 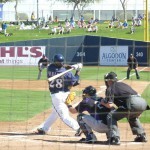 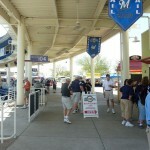 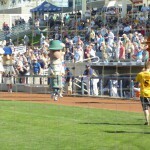 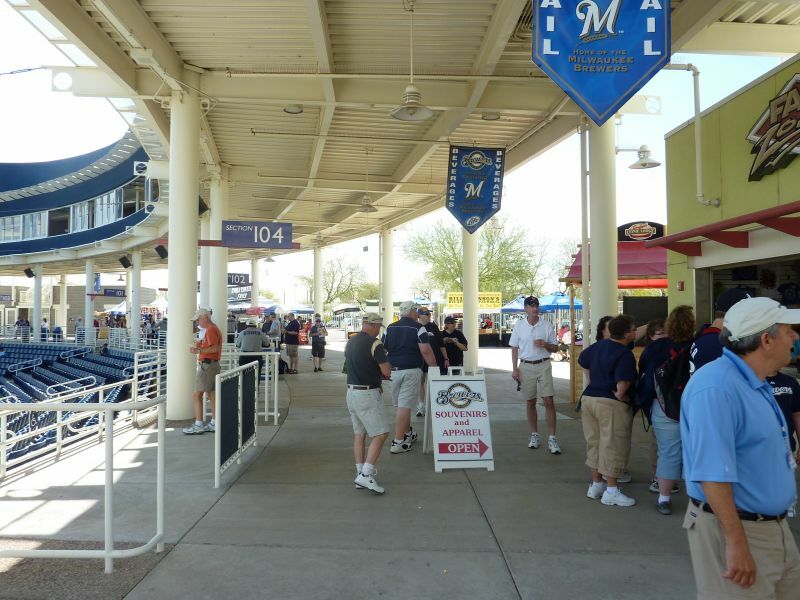 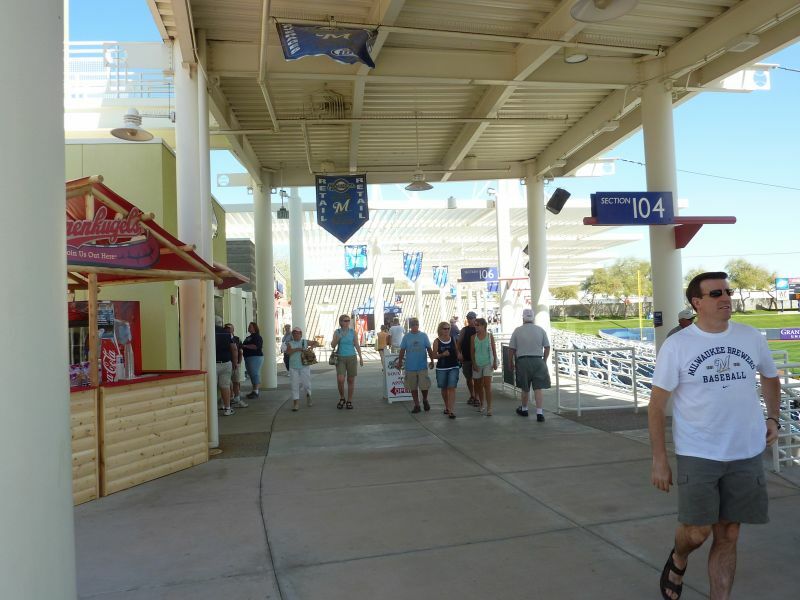 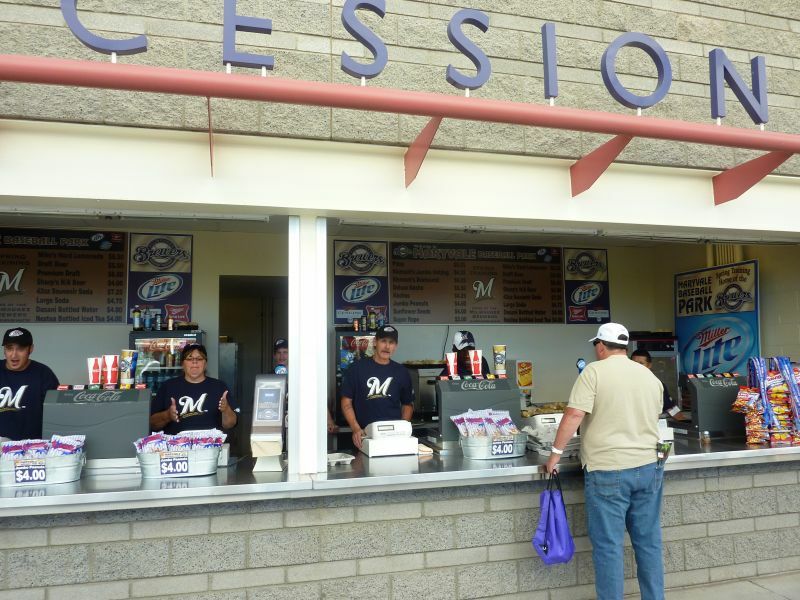 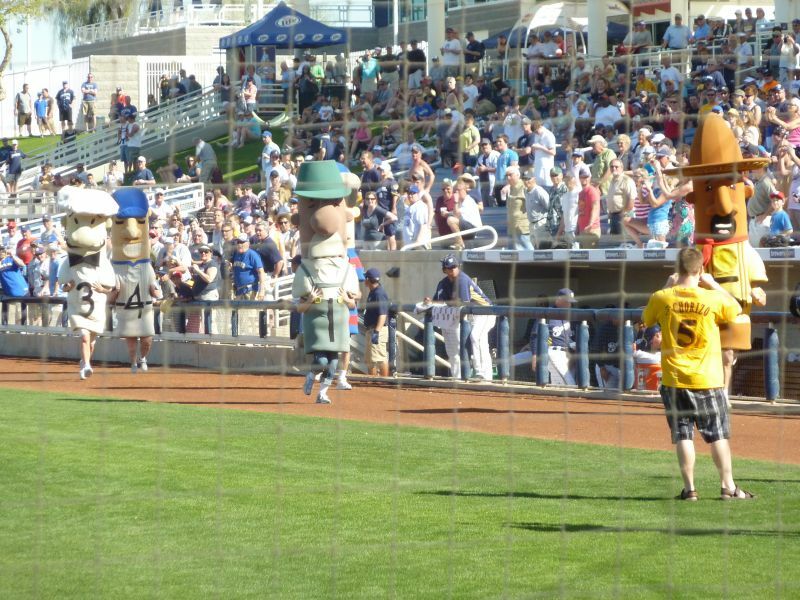 The Brewers have agreed on a short-term lease extension, and lets hope they agree to stay at this wonderfully original ballpark for years to come instead of looking to build a southwest Talking Stick cookie cutter, as the standard life span for spring training ballparks has historically 10-15 years, no matter how nice a park seemed at the time. 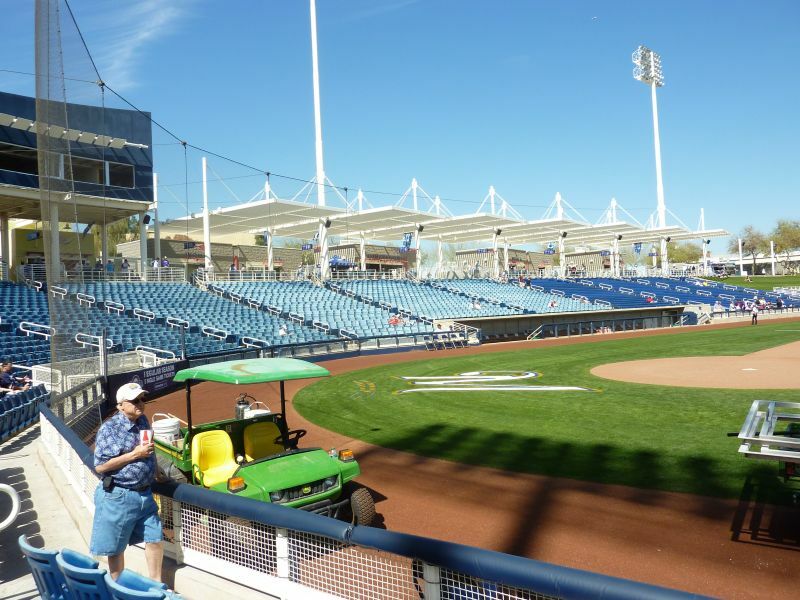 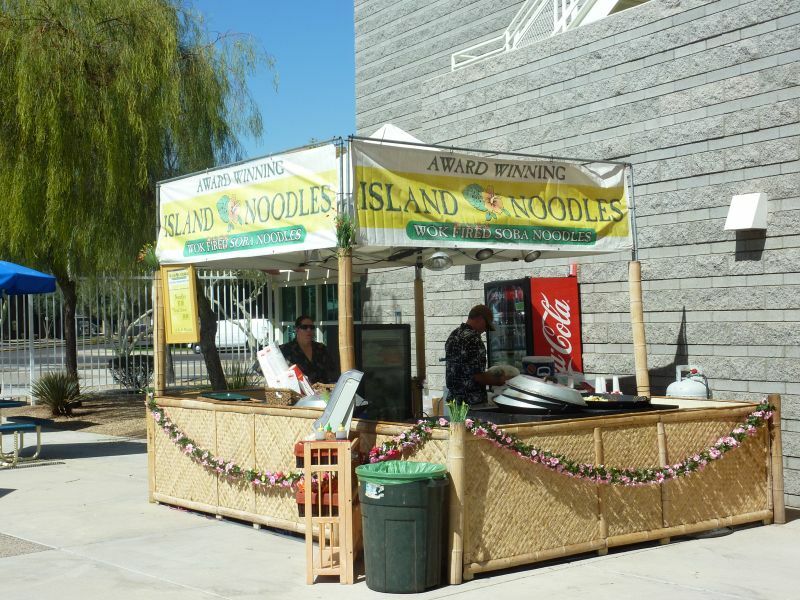 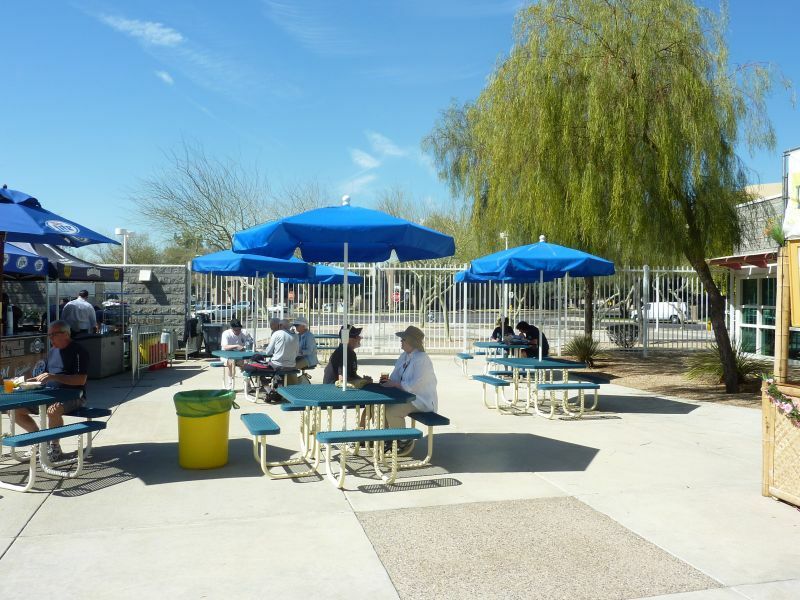 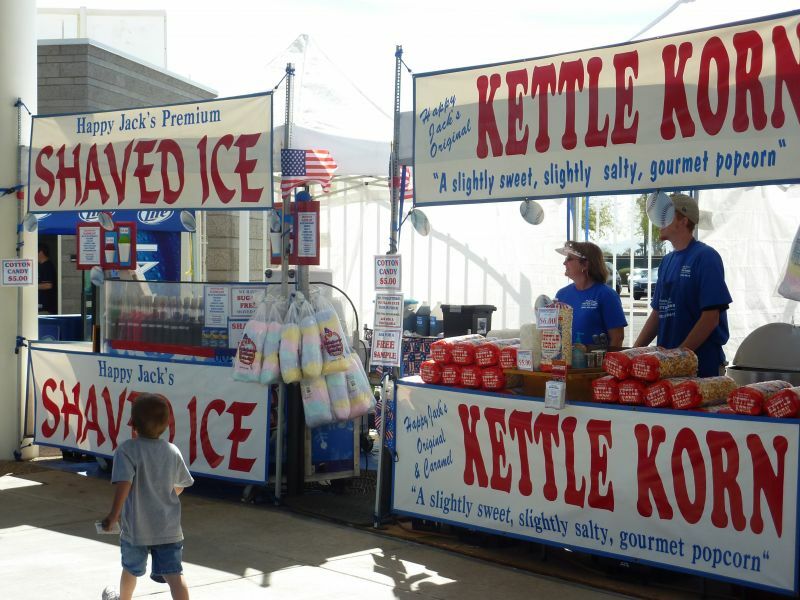 There were talks of Oakland and Milwaukee teaming up to request the construction of one of these somewhere in the Valley, but the former team has agreed to move to HoHoKam Park in 2015. 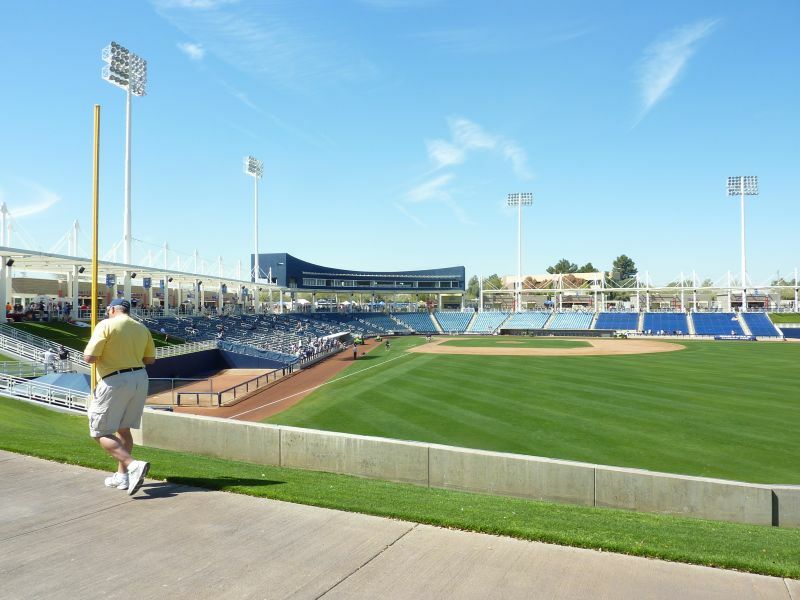 The Brewers would need a second team if they wanted a new ballpark, plus ballpark development in The Valley looks like its finally saturated anyway. 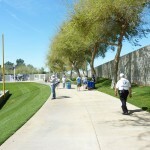 Despite the poor location, renovations to upgrade the amenities and functionality can significantly improve the score.